April of 2011 had been the most active month of tornadoes in recorded history. Three major outbreaks pushed the monthly count to a staggering 758, obliterating the previous record of 542 set in May 2004. After the utter devastation of April 25-28, however, the large-scale weather patterns changed and conditions became less conducive for tornadoes. Several weeks passed with little activity, but by the third week of May the pattern had again begun to change. A low pressure system originating in the Gulf of Alaska dropped south to the West Coast before migrating north and east toward the Rocky Mountains. As the system ambled northward, a southerly flow pushed vast quantities of warm, moist air into the Southern and Central United States. The system first made its presence known on Tuesday, May 17, as the hot, sticky air rose, condensed and ballooned into tall cauliflower-shaped clouds over eastern Colorado. The storms blew up quickly, dropping nickel-sized hail and spinning up a few brief tornadoes east of Denver. For the next several days unsettled weather continued, producing scattered thunderstorms, hail and a handful of tornadoes in Colorado and Kansas as the low plodded across the Rocky Mountains and toward the Northern Plains. As the week drew to a close, forecasters became increasingly concerned that the weekend could bring a more significant outbreak of severe weather. As the weekend approached, an explosive chain of events began to take shape. A layer of air from the western United States, raked across the Rockies along with the incoming storm system, warmed and dried as it descended along the eastern slopes of the mountain range. An arid wind blew in more dry air from the Desert Southwest and the Mexican Plateau. This parched air mass drifted and slid into place over the Central and Southern Plains, lingering several thousand feet above the ground like a sturdy cap. Beneath it, the southerly flow that had piled up moisture for several days continued unimpeded. The air became soupy as the strong cap prevented the hot, humid air from rising, mixing and exploding into thunderstorms. The EF3 tornado that struck Reading, Kansas on May 21, 2011. On the evening of May 21, a towering thunderstorm erupted southeast of Emporia, Kansas and began to rotate. Spurred on by an intensifying low-level jet, the supercell spawned a tornado near the small community of Reading. 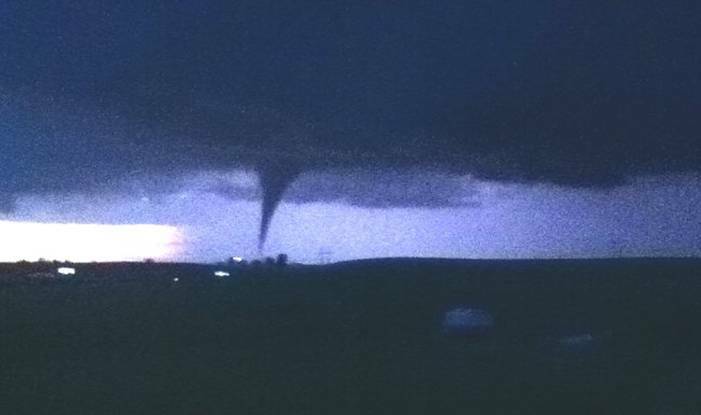 The tornado, later rated EF3, barreled into town just after 9:15 pm and damaged or destroyed more than 100 homes and businesses along a ten-mile path. As the tornado bore down, 38 of the town’s residents survived by seeking refuge in the basement of the local United Methodist Church. Not everyone was so lucky. Fifty-three-year-old Don Chesmore was killed when the tornado destroyed his trailer on the east side of town. The storm system had claimed its first life, and the worst was yet to come. The residents of Joplin, a former lead- and zinc-mining city chiseled from the rocks an fields of southwest Missouri’s Jasper County, awoke to balmy temperatures on a tranquil Sunday morning. The sun shone brightly against the sapphire sky, filtered though long, parallel lines of fluffy white cloud streets. Though seemingly innocuous, this phenomenon hinted at the strong instability in the atmosphere. Pockets of warm air, called thermals, rose high into the sky before bumping into the strong cap which still lingered above. The air cooled and spread out as it condensed into clouds, sinking back down and causing areas of subsidence in which no clouds could form. These alternating areas of cloud growth and subsidence were then organized by environmental wind shear, forming thin, wispy lines of organized cloud streets. Also evident on visible satellite north of Joplin was a subtle outflow boundary originating from the previous nights’ convection. 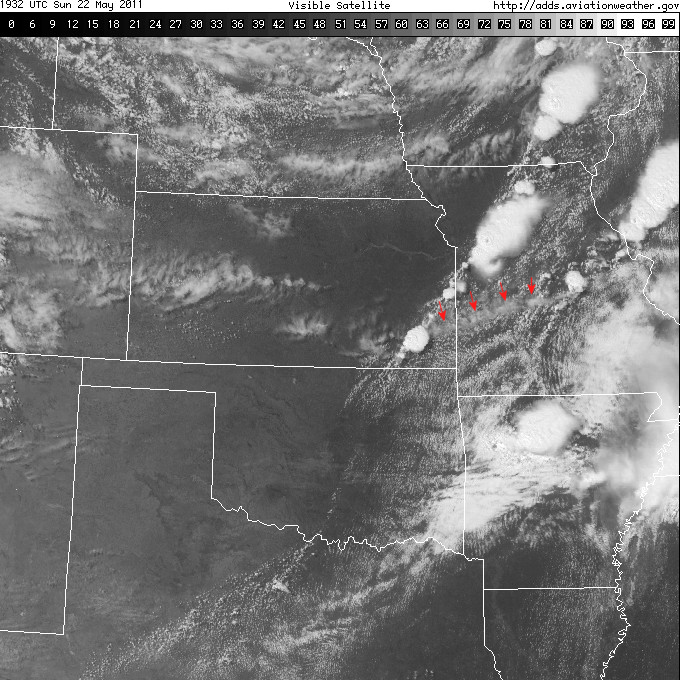 Visible satellite from 2:30 pm showing a field of cloud streets over parts of Missouri, Kansas and Oklahoma. Note the outflow boundary from earlier convection marked by red arrows. The low pressure system which had brought rough weather to the Plains continued its trek to the east, trailing a cold front and a dryline to the southwest as it moved across South Dakota and into southern Minnesota. The Storm Prediction Center issued an outlook for a Moderate Risk of severe weather that included the Joplin area — stretching from the Great Lakes to central Oklahoma — but there was little talk of the weather. The city of 50,000 buzzed with activity, with many anticipating the graduation ceremony for Joplin High School’s senior class in the afternoon. Sunday morning services began at churches across the city. Northwest of town, 40-year-old Rob Chappel and his wife Kristy discussed the day’s weather while their children played in the pool. Though he hoped his presence would not be needed, Rob’s responsibilities as the county coroner gave him good reason to keenly monitor the forecast. The Day 1 Outlook on May 22, showing a large area of “Moderate” risk through the Mississippi Valley and Central Plains. Webb City resident Dean Wells left his home and headed to the Home Depot in Joplin where his shift was set to begin at 1:00 pm. The 59-year-old Army veteran had worked there for more than five years, eventually taking over as manager of the electrical department. His job allowed him the opportunity to meet new people and help others every day, something that he deeply enjoyed. Dean was well-known within the community, both for his extraordinary kindness and the flute-like whistling that he perfected while performing at local hospitals and nursing homes with his church’s singing group. The following day was to be he and his wife Sue’s 42nd wedding anniversary, something that both were very proud of. At 1:30 pm, a tornado watch was issued for a large portion of southwest Missouri, eastern Oklahoma, southeast Kansas and northwest Arkansas, including the city of Joplin. Temperatures in the area had reached the low- to mid-80s and dew points breached 70 degrees. The atmosphere had become extremely unstable and the stage was set for explosive thunderstorm development. ONE TO TWO HOURS ALONG COLD FRONT MOVING THROUGH SERN KS AND NERN OK. WARM SECTOR AIR MASS IS QUITE MOIST WITH DEWPOINTS IN THE LOWER 70S. WHEN COUPLED WITH STEEP MIDLEVEL LAPSE RATES… ENVIRONMENT HAS BECOME STRONGLY TO EXTREMELY UNSTABLE WITH MLCAPE OF 3000-5000 J/KG. THE PRESENCE OF 35-40 KT WLY DEEP-LAYER SHEAR WILL BE SUPPORTIVE OF SUPERCELLS CAPABLE OF DESTRUCTIVE HAIL. MOREOVER…SWRN EXTENSION OF A 30-35 KT SWLY LLJ WILL BE MAINTAINED ACROSS THE REGION…RESULTING IN EFFECTIVE SRH VALUES OF 150-250 M2/S2 AND AN ASSOCIATED TORNADO THREAT. A STRONG TORNADO OR TWO IS POSSIBLE. The tornado watch, like the SPC outlook before it, caused little worry in Joplin. It was springtime on the Plains — tornado watches were simply a part of life. Despite the terrible tragedy wrought by tornadoes the previous month, most residents scoffed. Tornadoes? Not here. Not to us. At Missouri Southern State University, family, friends and other assorted well-wishers began streaming into the Leggett & Platt Athletic Center. More than 450 students from Joplin High School’s senior class were awaiting the ceremony with a bittersweet mixture of nerves, excitement and wistfulness. Five hundred miles to the north, the storm system had already sprung to life. An EF1 tornado brushed through northwestern Minneapolis, Minnesota, killing one person when a tree was snapped and fell onto a car. Shortly after, a strong EF2 tornado touched down near Riceville, Iowa. The tornado destroyed several farmsteads and left a wide swath of tree damage before dissipating 28 miles later north of the Minnesota town of Harmony. A broken line of cells spawned several other tornadoes across Minnesota, Iowa and Wisconsin. 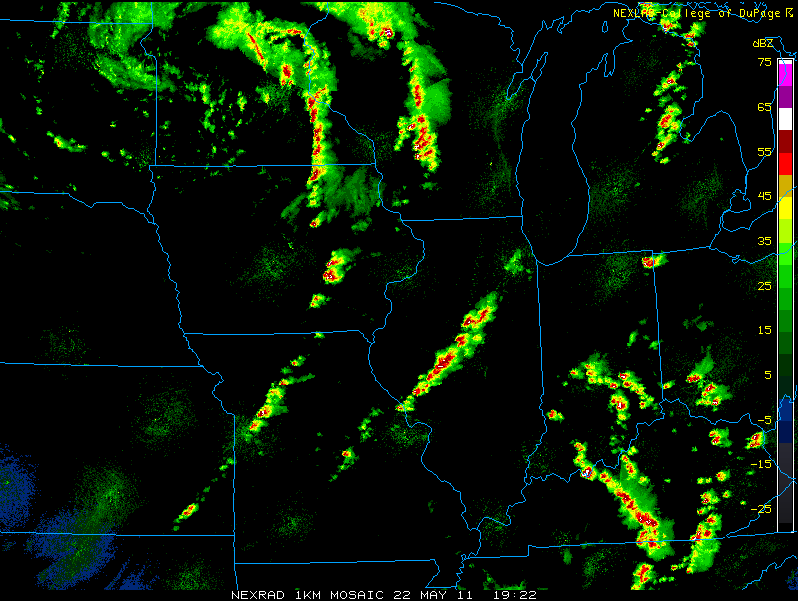 Composite radar of the Upper Mississippi Valley at 2:30 pm. Tornadic supercells can be seen across Wisconsin and south Minnesota. Additional storms are beginning to initiate in southeast Kansas. In order to gather more information on the rapidly changing atmospheric conditions, meteorologists at the Springfield, Missouri office of the National Weather Service prepared and released a special weather balloon sounding at 19z (2:00 pm). Radiosonde data revealed a potentially dangerous situation unfolding. The strong cap which had served to suppress convection throughout the day had begun eroding, while instability continued to climb ever-higher. Wind shear, which had been marginal for supercell development, was enhanced by a strengthening low-level jet near the surface. At the upper levels the winds were relatively weak, indicating that any supercells would likely be high-precipitation and extremely difficult to see from the ground. Special 19z sounding at Springfield, MO. Note the large CAPE (red shading) and eroding cap (green shading). Weak upper-level winds are also evident. Mike Griffin, one of NWS Springfield’s meteorologists, was mowing his lawn in the afternoon sun when he stopped to check the weather on his iPhone. What he found was not comforting. Fifty miles to the west in eastern Kansas, the cold front and dryline that trailed behind the low pressure system were growing nearer. Where the dryline and cold front merged in southeast Kansas, a secondary low pressure center had formed. Winds near the surface which had blown from the south for most of the day had begun to back, gusting in a more tornado-friendly southeasterly direction. A phone call from the office confirmed what Griffin had already guessed: trouble was coming. A lone tower burst into the sky above Labette County in southeast Kansas. The tall mass of cloud mushroomed, quickly filling the horizon and casting a vast shadow over the farmlands. With every passing minute, more of the thick, hazy air near the surface rocketed upward and began to condense. Aided by the cold front and nearby mesoscale low, the storm vacuumed up more warm, moist air from the south to feed its voracious appetite. The newly-developed updraft began to spin. Rain lashed the dirt and grass below. As the supercell intensified, golfball-sized hail crashed to the earth. The cap had ruptured. In Joplin, the school band played “Pomp and Circumstance” as the graduating seniors took their seats among the rows of folding chairs. Keith Stammer, Jasper County’s emergency management director, relaxed at home as he watched the Kansas City Royals play the St. Louis Cardinals. Monitoring the weather on his iPad, he began to grow concerned. The storms in Kansas were headed his way, and they were firing at just the right time to take advantage of peak daytime heating. He headed to the well-protected basement that was used as the town’s command center, prepared for what he hoped would be just another nasty thunderstorm. As the supercell rumbled eastward, the turbulent airflow on its southern flank helped additional storms to explode into the sky. Outside of Columbus, Kansas, less than 30 miles west of Joplin, the dark maelstrom of clouds hurled baseball-sized chunks of ice at the ground. Lightning spidered through the sky, followed closely by booming thunder that rattled windows in the small town. As the new cells drifted northeast, something strange happened. Rather than being cut off, the original supercell ingested the incoming convection. The billowing storm grew stronger with the merger, tightening its circulation and growing rapidly in size. To the south, yet another storm blew up over Baxter Springs. The Columbia, Kansas supercell as viewed from the south near the town of Neutral. The tangled complex of storms began to deviate from its path, drifting east-southeast and becoming a “right-mover.” Helicity increased. Sheets of rain wrapped around the rotating core, the mesocyclone, obscuring the heaving, twisting mass within. Grass rippled like waves as the storm furiously inhaled the atmosphere around it. As the radar in Springfield emitted pulses in the direction of the storm, the returning echoes painted a confusing, conflicting picture. The storm was growing, that much was clear. But it had also become messy and disorganized. Radar operators could be forgiven for thinking the multiple cell mergers had taken their toll on the incoming mass of storms, but they knew better. Forecasters placed a call to Keith Stammer around 4:30 pm: storms are coming, you’d better be ready. 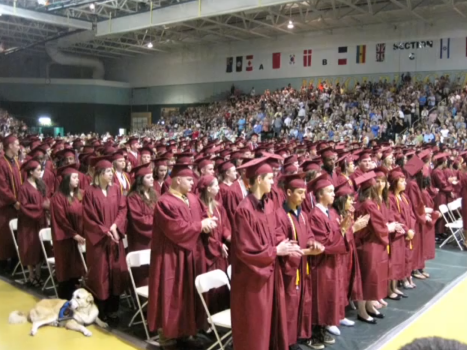 The graduation ceremony for Joplin High School. Just after 5:00 pm, Joplin High School’s graduation ceremony ended with a hail of maroon caps inside the Leggett & Platt Athletic Center. Outside, the skies had become dull and leaden. In the east-facing parking lot, however, there was no obvious sign of the approaching threat. To the west, the signs were much clearer. The horizon to the west of the city had become choked with menacing black and drab green clouds. Jeff Piotrowski, who had been chasing the massive supercell practically since its birth in southeast Kansas, looked on with apprehension. 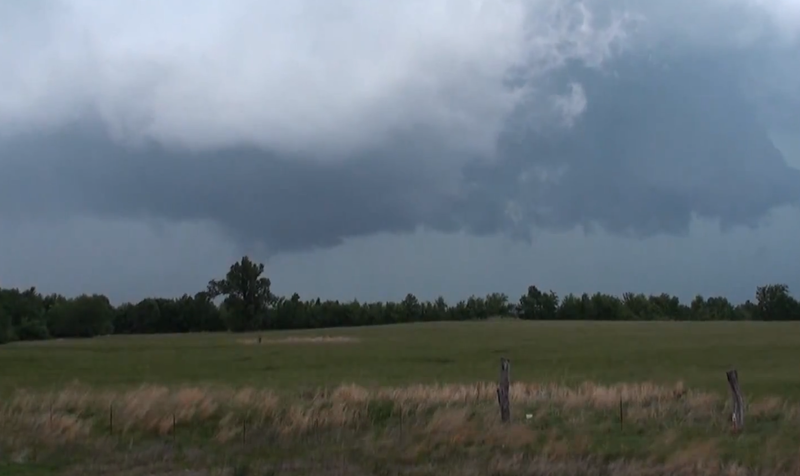 About 15 miles west of Joplin, a lowering near the back of the storm began to rotate and stretch toward the ground. Even through the driving rain and wind, a funnel cloud — not yet touching the ground — was visible. At 5:09 pm, the National Weather Service in Springfield issued a tornado warning for the large central cell of the storm complex, which appeared to have developed a hook echo about 13 miles west of Joplin. Weather Service meteorologists noted an eastward movement of 30 miles per hour, and estimated that the storm would eventually impact the northeast edge of Joplin. Moments later, Keith Stammer activated the 28 warning sirens stationed throughout the city. For most residents the alarm was scarcely worth noting. It was springtime in the Midwest, after all. Tornado sirens were to be expected. Three minutes after being activated — as per the city’s policy — the sirens were shut off. Despite the worrisome weather approaching from the west, most citizens went about their business. Students, parents and teachers lingered at the athletic center or ventured out for a celebratory meal. Emergency department personnel at St. John’s Regional Medical Center, some winding down from 10 or 12 hours on the clock, cleaned up and prepared to head home for dinner. Other staff trickled in and readied for their evening shifts. Among them was Dr. Kevin Kikta, who’d begun his shift at 4:00 pm as one of two on-duty physicians in St. John’s emergency department. The intercom crackled to life, announcing that a tornado warning had been issued for the area. Still there was little concern. 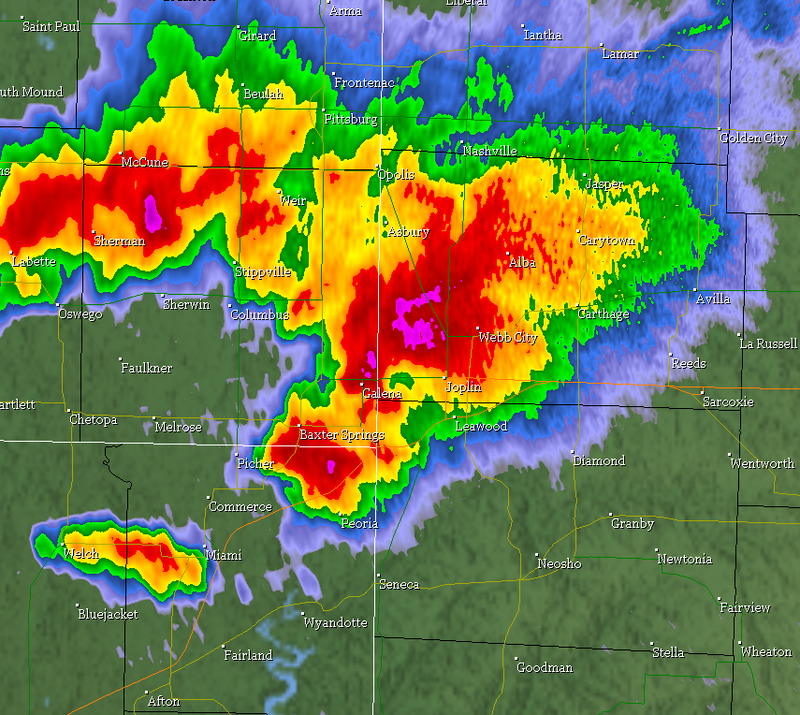 Shortly before touchdown, a hook echo can be seen developing southeast of Galena, KS. Inside the rainy, wind-whipped mountain of clouds, things became even stranger. The small storm near Baxter Springs merged with the larger cell near the Missouri state line. At the Springfield weather office, meteorologists monitored the radar. A new scan revealed an apparently weakening northern cell, though the southern cell had developed and begun wrapping up tightly. The details were ambiguous at best, but the larger picture was clear. At 5:17, another tornado warning was issued by the Springfield office. Minutes later, a new radar scan depicted a developing hook echo along the storm’s southwest flank. Keith Stammer’s emergency operations center received a final phone call from the weather service. Whatever’s out there, it’s headed straight for Joplin. Near Seventh Street and Black Cat Road in southwest Joplin, Jeff Piotrowski issued his frantic plea to the police officers monitoring the storm. At 5:31 pm, prodded on by information from Piotrowski and the Springfield NWS office, Stammer took the unprecedented step to activate the city’s sirens for a second time. The unusual second siren began to shake the city into action. Inside St. John’s, a “code gray” was issued. Doctor Kikta and the rest of the hospital’s staff began moving patients to the safest spots within the hospital. At Home Depot, Dean Wells could hear the sirens from inside the store. He’d noted the menacing sky and began heading for the doors when he received a call from his wife. She warned that a tornado was approaching, and he ought to take shelter. His reply was hardly surprising. I’m getting everybody to shelter. I’ll call you when everyone’s safe. I love you. At 5:34 pm, ragged tendrils of cloud seemed to drop from the sky just inside the Missouri border near JJ Highway and Newton Road. The tangled, swirling mass began to grow almost immediately as it plowed through power lines and sent brilliant flashes of electric blue light into the air. Within 30 seconds the ephemeral wisps of condensation had become a wide, dark wedge of wind and debris. Less than a minute later, the tornado had become a monstrous, seething tempest nearly three-quarters of a mile wide. As it roared east past Iron Gate Road and on to Schifferdecker Avenue, several well-built wood and brick homes were heavily damaged. Many vehicles in the area were tossed and rolled, some thrown into the rubble of homes and other buildings. Damage in this area was rated at EF3. The tornado approaches Iron Gates Road, rapidly intensifying just moments after initial touchdown. The tornado began to strengthen as it passed Iron Gates Road. View is looking northeast, with Iron Gates Road in the foreground on the left and Schifferdecker Avenue in the top right corner. On Schifferdecker Avenue, 18-year-old Will Norton and his father Mark were driving home from graduation, where Will had just received his diploma. Nicknamed “Willdabeast,” Norton was set to attend the prestigious Dodge College of Film and Media Arts at Chapman University as a film major in the fall. 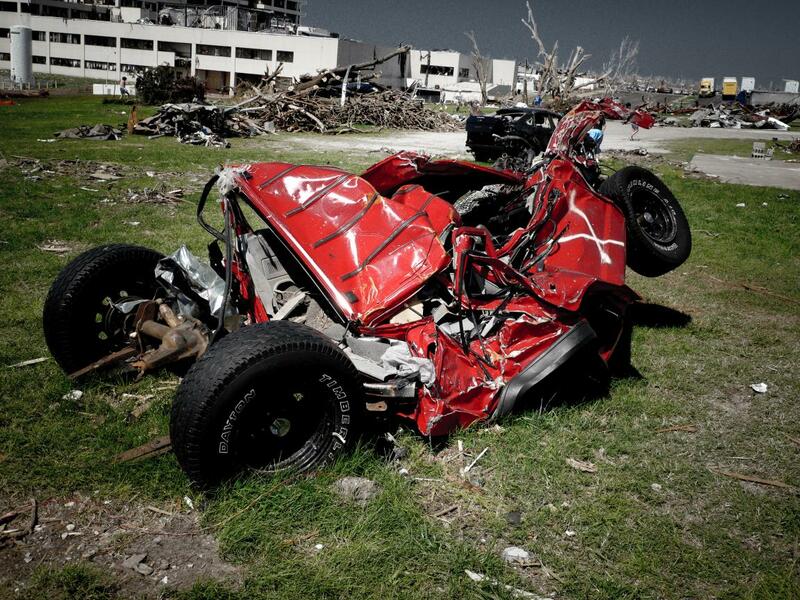 A short distance from home, the tornado bore down on his black Hummer H3. Will began reciting scripture before he was ripped through the sunroof. His father Mark was trapped in the vehicle as it was heaved and tumbled by the fury of the wind, coming to rest a short distance away as a mangled mess. Though he survived, it would take the Jaws of Life for first responders to extract him from the wreckage. The tornado continued to widen and rapidly intensify as it tracked just north of east at approximately 25 miles per hour. Rows of homes and small commercial buildings were leveled just east of Schifferdecker Avenue. Vehicles were again tipped, rolled and thrown from parking lots and roads. Several were wrapped around trees or thrown into the remains of buildings. Several homes were splintered and swept from their foundations along Jefferson and South Monroe Avenues. To the west of the intersection of West 26th Street and McClelland Boulevard, several medical buildings were demolished. On West 27th Street, a well-constructed brick office building was completely demolished. The office building on W 27th Street as it appeared before the tornado. 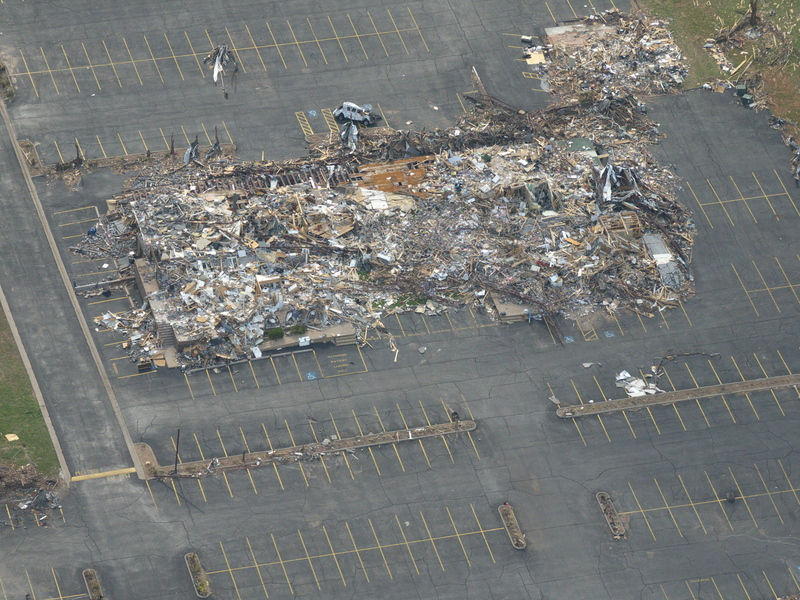 The remains of the office building after the tornado. 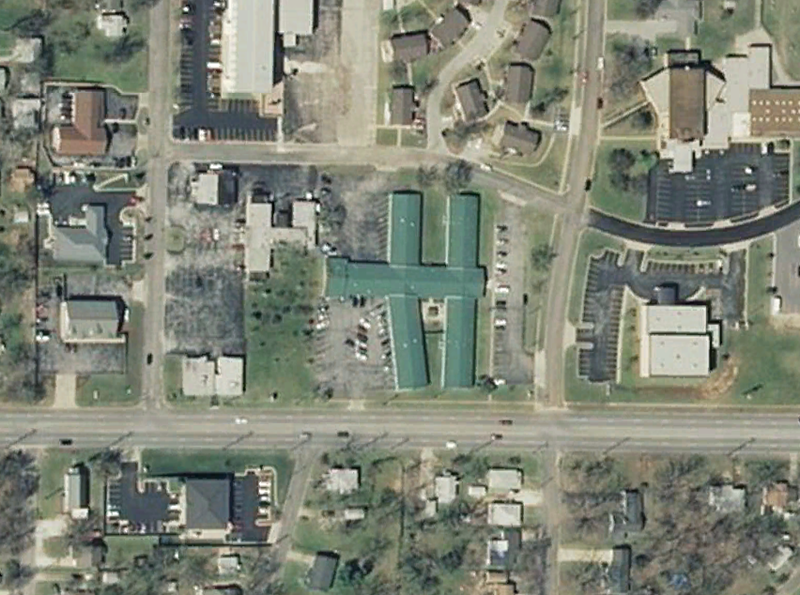 Aerial view of the office building near South McCoy and West 27th Street. Medical and dental buildings were demolished just west of McClelland Boulevard between West 26th and West 27th streets. This view is facing west with W 26th to the right and W 27th to the left. At 5:43 pm, the radar in Springfield completed a new scan. At the National Weather Service, the room fell silent. Meteorologists stared somberly at the radar displays as the storm that had been a messy blob a short time earlier had transformed into a horrifying, well-defined hook. A large, round blob of lavender sat directly over the south side of Joplin. Shards of wood and glass, pieces of vehicles, scraps of papers, furniture and everything else that had represented daily life in the city was whipping violently through the air and reflecting the pulses of energy emitted by the radar. The lavender ball indicated the massive cloud of debris, lofted as high as 20,000 feet by the churning tornado. At about the same time, a security guard at St. John’s Medical Center burst into the hospital. Take cover! We are about to get hit by a tornado! 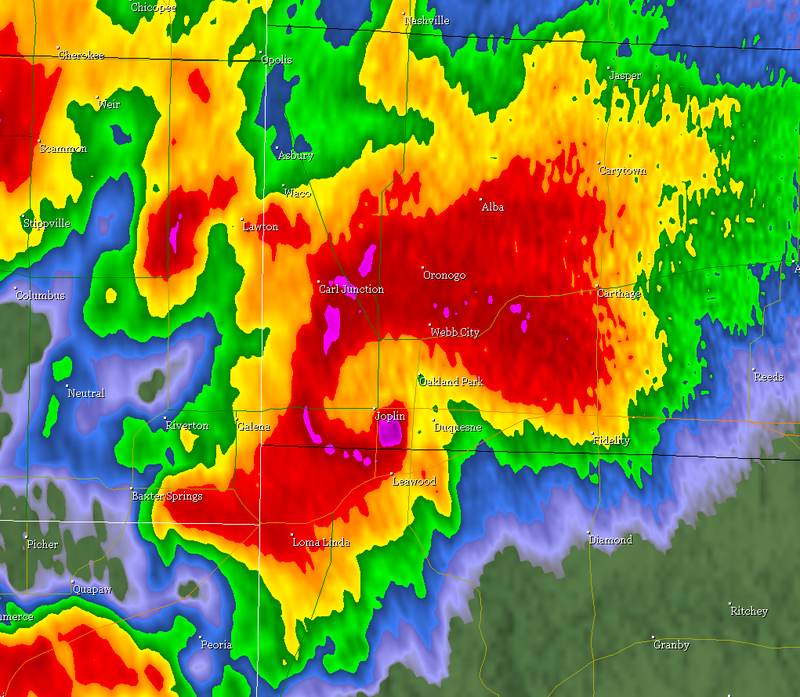 Massive hook echo and debris ball as the tornado roared through the south side of Joplin. 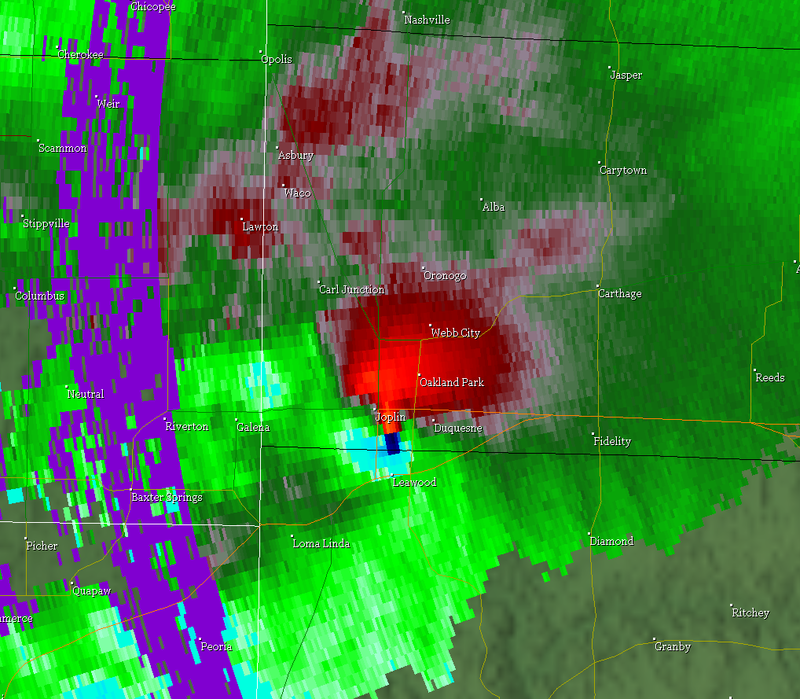 Storm-relative velocity from the same time reveals an extremely intense velocity couplet. In a parking lot just west of St. John’s, 300-pound concrete parking stops which had been rebarred to the asphalt were ripped up and tossed as much as 60 yards by the extremely intense low-level winds. Several vehicles, including tractor-trailers, were lofted and tumbled several hundred yards and wrapped around debarked and denuded trees. In the hospital parking lot, some were so badly damaged that some St. John’s staff could not locate and identify their vehicles. A life flight helicopter was blown from the top of the hospital and destroyed. 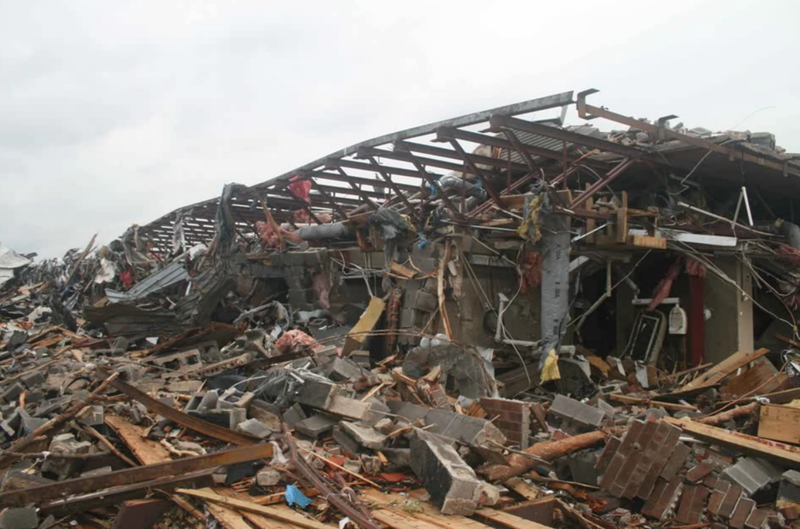 Steel trusses and support beams from nearby structures were crushed, mangled and twisted. St. John’s itself was heavily damaged. Virtually every window was smashed, and the intense winds damaged or destroyed many interior walls, floors and ceilings. Engineers later ruled the building structurally unsound. 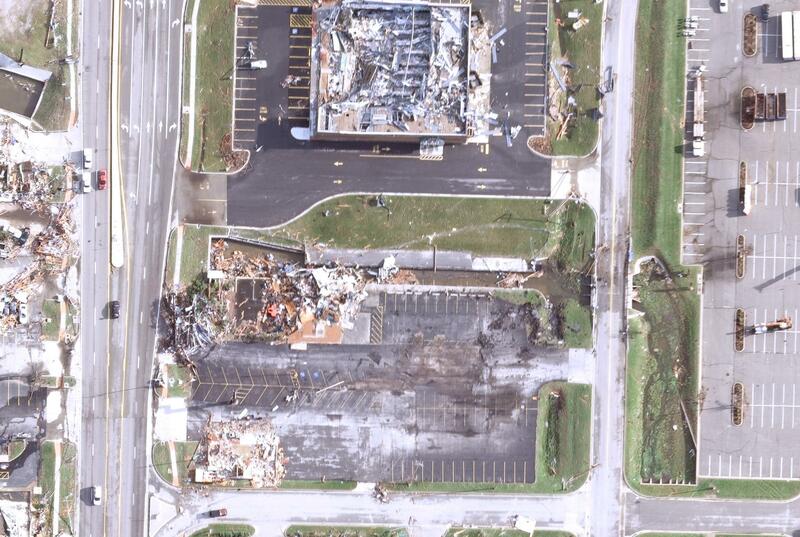 Aerial view of the area near St. John’s Medical Center where concrete parking stops were ripped from parking lots. The three numbered arrows represent the approximate locations of the three photos below. Additional parking stops can be seen scattered throughout the parking lots at center right. Nearly every parking stop in this lot was ripped up, leaving bent rebar spikes behind. This parking stop was thrown nearly 60 yards into the foundation of a nearby home. Parking stops were torn from their rebar spikes at St. John’s. Many vehicles were also destroyed. East of McClelland Boulevard the tornado neared peak intensity as it expanded to more than three-quarters of a mile wide. Near the center of the tornado’s path the devastation was total. Block after block of homes were crushed, ripped apart and swept from their foundations, their wood frames smashed and disintegrated into small pieces. Much of the resulting debris became airborne projectiles, impaling any remaining structures and embedding deeply into open grassy areas like lawn darts. Steel-reinforced concrete porches were damaged and deformed. Scraps of wood, branches and in some cases whole timbers were driven deeply into or through vehicles, standing walls and other exposed surfaces. In several areas, well-sealed manhole covers weighing more than 100 pounds were pulled from the ground and tossed away. Some of the covers were reportedly never found. On South Moffett Avenue, staff members at Greenbriar nursing home scrambled to rush the 80-plus residents into central hallways and other designated safe areas as the sirens wailed outside. Fifty year old staff member Keith Robinson used his body to shelter two elderly residents as the roar of the tornado grew. The windows shattered. Debris, ranging in size from branches and scraps of wood to parts of vehicles, began pelting the walls and roof. The 200-plus mile per hour winds were too much for the building, and the ceiling and parts of the walls caved in as the roof peeled away. Twenty-one of the nearly 100 people inside were killed. Keith Robinson was later found in the rubble, his arms still clutching the two residents he’d tried to protect. 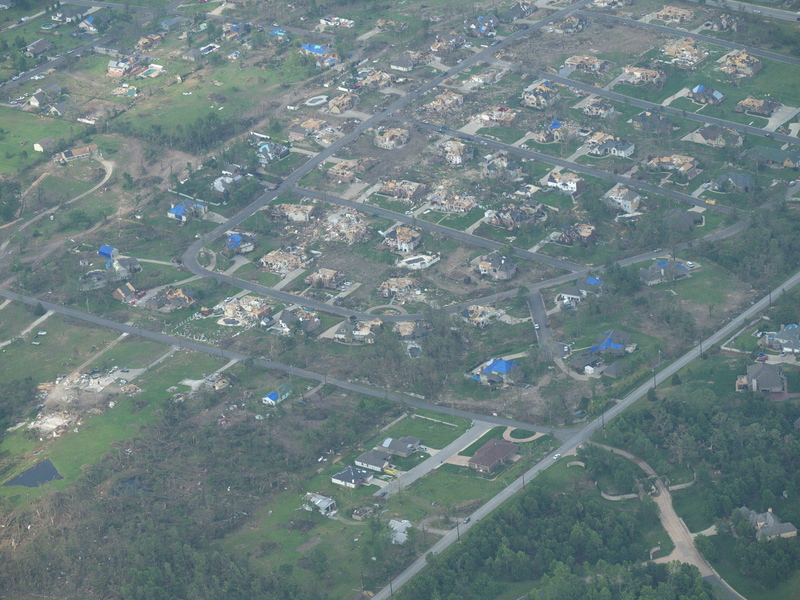 An aerial view of Greenbriar nursing home, green-roofed building at center, before the tornado. Greenbriar was completely destroyed and portions of the brick building were swept away. At 25th Street, Father Justin Monaghan dove into a bathtub inside the rectory at St. Mary’s Church as the tornado bore down. The church, as well as several associated school buildings, were demolished in a matter of moments. Only the large steel cross and some of the supporting structures were left standing. Father Monaghan’s quick thinking saved his life, as he was later pulled from the rubble without injuries. As the tornado continued eastward, many wood-framed homes were leveled and swept away. Irving Elementary School was destroyed. In the area around South Main Street, a number of two- and three-story apartments and multiple commercial buildings were demolished. The tornado maintained its intensity as it tracked east roughly parallel to East 24th Street. 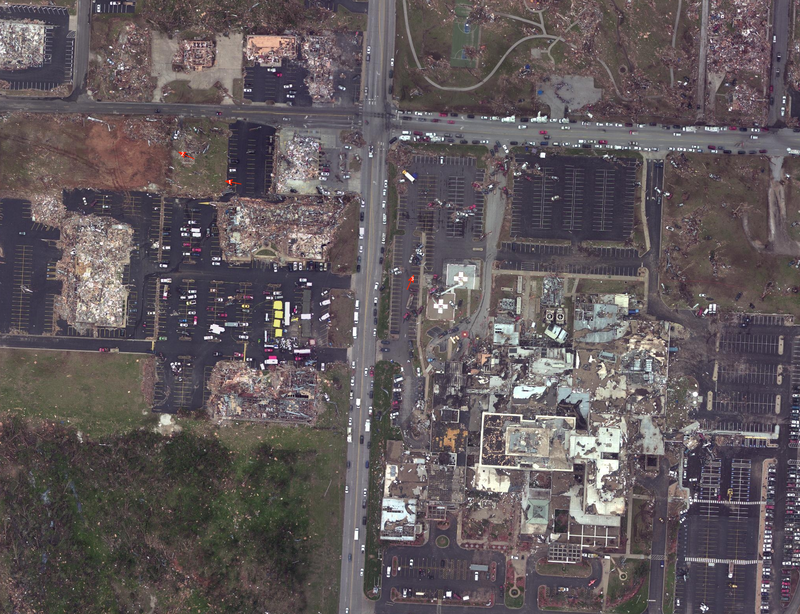 East of Main Street, dozens of homes were completely leveled and ground scouring is evident in the area around South Kentucky (vertical road at center) and East 24th Street (horizontal road at top). At 2302 Iowa Avenue, 51-year-old Mark Lindquist tried to remain calm. He and his co-worker, Ryan Tackett, were tending to three developmentally disabled young men when the warnings began echoing through the streets. As they reassured the boys that the sirens were simply part of a tornado drill like so many they’d rehearsed before, they began to look for whatever safety they could find. They tore mattresses from the bedrooms and covered the boys to shelter them from debris. Mark and Ryan laid themselves atop the mattresses. Like so many others across Joplin, they selflessly acted to sacrifice themselves to protect the people they cared about. The tornado struck at peak ferocity, tearing the roof from the walls and smashing the home to pieces. Mark was ripped from the home and tossed by the wind. First responders found no sign of Mark in the home. Ryan was found with minor injuries. The three young men — Mark Farmer, Tripp Miller and Rick Fox — did not survive. The home on Iowa Avenue from which the “Miracle Survivor” Mark Lindquist was thrown can be seen immediately across from home base on the baseball diamond. Another view of the home at 2302 Iowa Avenue. Many homes in the area were reduced to piles of rubble and bare foundations. Rows of homes along Missouri, Iowa and Indiana Avenues were razed to the ground. Franklin Technical Center was obliterated. 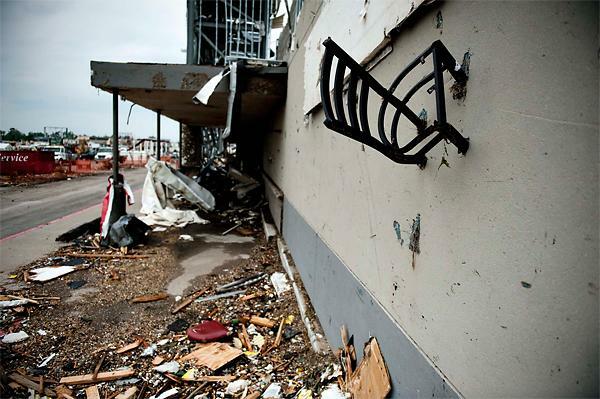 Joplin High School, too, was irreparably damaged. As the tornado rumbled eastward, a Dillon’s grocery store was damaged and partially collapsed. More than thirty patrons and workers survived after being huddled into a walk-in freezer by a manager. A group of two-story apartments were left in piles of rubble. Near Connecticut Avenue, the local Commerce Bank was completely obliterated and swept from its foundation. 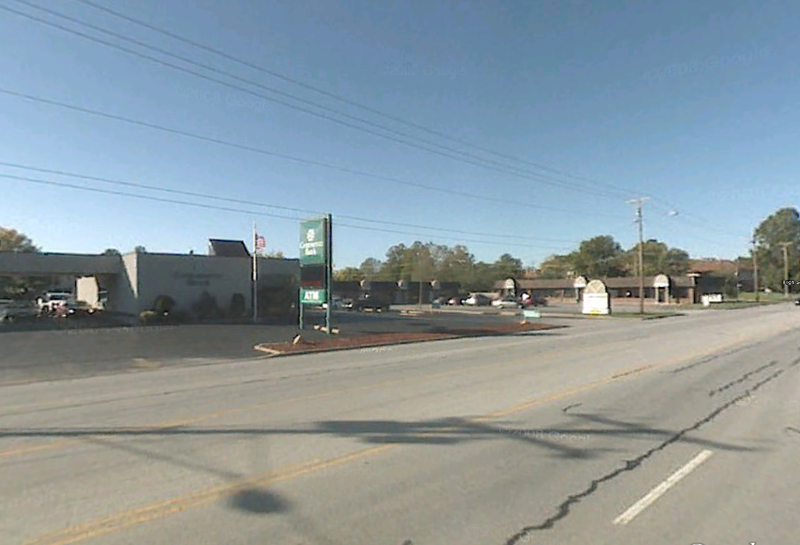 The only thing left standing at the bank was a damaged steel-reinforced concrete bank vault. Extreme damage continued to the east of the bank, where dozens of homes, industrial buildings and churches were decimated. 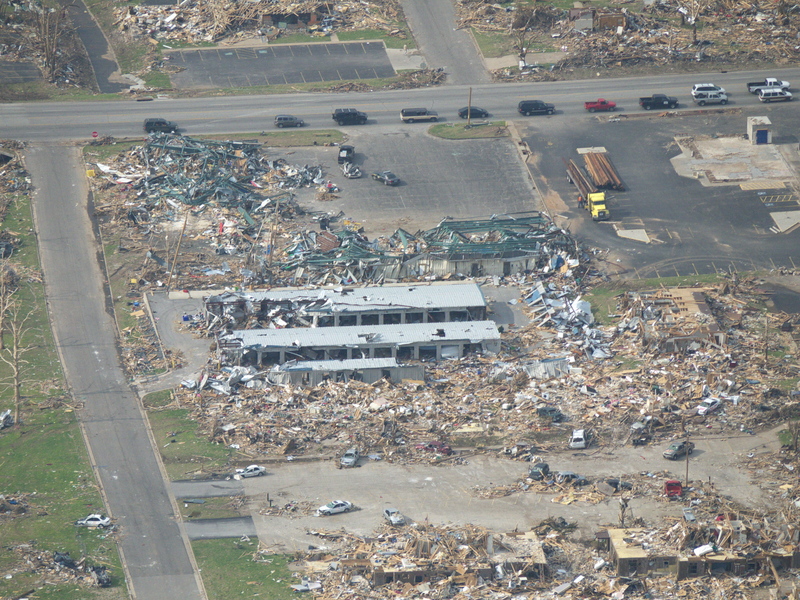 A street view of the Commerce Bank and surrounding buildings before the tornado. 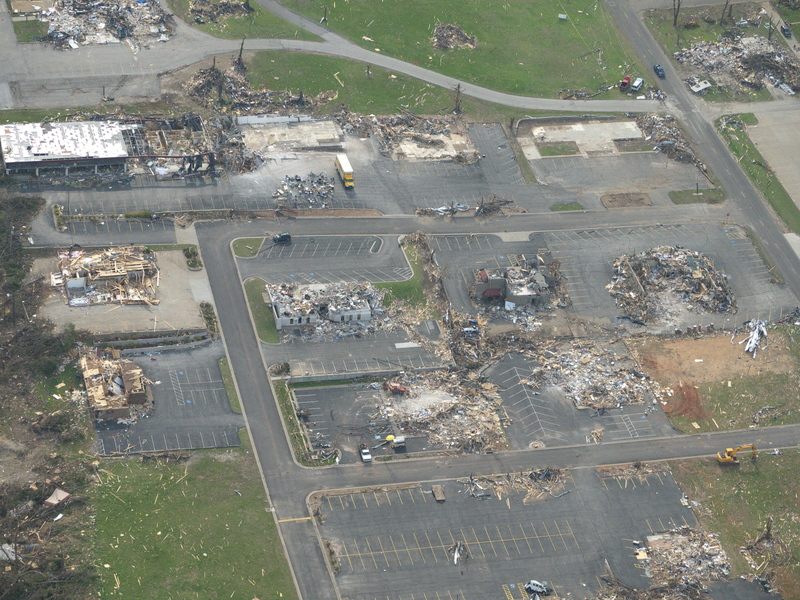 Aerial view of the area surrounding Commerce Bank. The blank foundation and steel-reinforced concrete bank vault can be seen at top right. 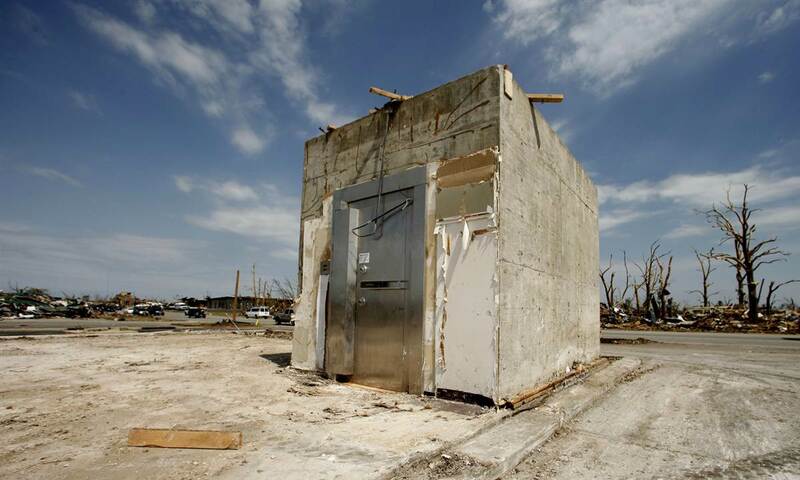 The damaged bank vault was the only structure left standing after the tornado. The tornado was again near peak intensity as it thundered into Joplin’s main business section along South Range Line Road. At Home Depot, Dean Wells had shepherded more than a dozen people to the safest areas inside the store. As the cacophony of wind bore down, he sprinted to the front of the store once more to guide the last of the customers to safety. The big-box store was no match for the fury of the wind, and a large exterior wall collapsed on Wells as he led two children to safety. All three were killed. The tornado continued to annihilate well-constructed buildings and tore apart several additional retail and industrial buildings including Sports Academy, Walmart, Cummins Central Power and a Pepsi distribution center. Steel-framed warehouses were leveled in this area, with anchoring pulled from the ground and steel beams bent and twisted. Wind rowing and ground scouring were again evident in this area, indicating extreme winds. Fields near the Pepsi distribution center were scoured out, leaving behind muddy clumps of sod and dirt. Vehicles from nearby parking lots were rolled and lofted several hundred yards, including one which was thrown more than 300 yards from the Home Depot parking lot into the remains of the store itself. Tractor trailers from Walmart were tossed several hundred yards into the store and the Pepsi distribution center. At Pizza by Stout, large sections of the parking lot were torn from the ground and littered downstream by the intense low-level winds. The restaurant was wiped out, and a chair from the dining area was later found embedded legs-first into the wall of the Academy Sports building. Some asphalt scouring also occurred at Walmart parking lot. Extensive asphalt scouring can be seen in the Pizza by Stout parking lot, near bottom center. A chair from Pizza by Stout found embedded in an exterior wall of Academy Sports. Intense ground scouring can be seen in the fields near the Pepsi distribution center. The tornado finally began to weaken as it crossed South Duquesne Road, where multiple homes and warehouses were damaged or destroyed in EF3 to EF4 fashion. Some ground scouring and wind rowing was still evident in this area. The tornado shrank to about a half mile wide as it began to drift slightly south of east. Many vehicles were thrown from the road as the tornado crossed Interstate 44 and continued to weaken. A narrow path of EF0 to low-end EF2 damage continued for several more miles, damaging homes and snapping trees to the southeast of town. Finally, after a 38-minute, 22.1-mile trek through the residential heart of the city, the Joplin tornado dissipated just east of the town of Diamond. Jeff Piotrowski turns onto Iowa Avenue in disbelief. The city of Joplin, it seems, is gone. Where a thriving community had been just moments earlier, rubble piles and clean foundations stretch from horizon to horizon. Stepping out of his vehicle to render what aid he can, he is immediately besieged by desperate screams from all sides. Bodies are strewn across front yards and driveways. There are no landmarks left, no indication of where one home ends and another begins. Mangled vehicles dot the area like crumpled pieces of paper. Dozens, possibly hundreds of people lay dead or dying, and there is no sign of help. At St. John’s, chaos reigns. Staff who were in the hospital when the tornado hit begin to dig themselves and their patients from the rubble. Almost immediately, the wounded begin to stream in. Teenage girls in blood-soaked summer dresses, many fresh from graduation, limp through the massive hole that was once the emergency entrance. More people come from nearby Cunningham Park. Minutes later, the first cars arrive. The injured are carried in on doors, sheets of plywood and any other makeshift stretchers available. The dead and dying are shuttled to the hospital in the beds of pickup trucks and the back seats of any cars that will run. Blood runs in rivulets and pools on the floor. Across the city, doctors and nurses begin to hear the news that the hospital has been hit. They rush to the hospital to lend their expertise. At nearby Freeman West, the staff begin preparations for a massive triage operation. Plunged into darkness, Dr. Kevin Kikta and his team work with flashlights. The tornado has destroyed much of the equipment and supplies normally available to them, and the number and severity of the injuries is almost beyond imagination. A baby has a neck wound so deep that his spine is visible. A young man is bristling with so much embedded debris that he looks like a porcupine, and his chest cavity has been punctured. Dr. Kikta springs into action, cutting through his chest to the ribs and jabbing a chest tube through the thick muscle. There’s a rush to transport the most seriously wounded to Freeman West, where the staff has access to desperately needed supplies. Triage centers are opened across the city to deal with the massive influx of wounded. Though Coroner Rob Chappel was relieved not to have received a phone call after the storm, he grew increasingly anxious. He dialed the numbers for emergency dispatchers, but the call would not connect. The Sheriff’s Department, too, could not be reached. The radio began to crackle with bits of information from Joplin. Walmart may have been hit. Home Depot, too. There’s damage on the south side of town. St. John’s, the radio says, has been “leveled.” At about 7:00 pm, Rob grabbed his keys and headed south toward the emergency operations center. By the buzz of activity, it was clear something had happened. As he walked toward the door, an official confirmed his suspicions. The Joplin tornado injured more than 1,100 and claimed 158 lives, ranking it the seventh-deadliest tornado in American history. Nearly 8,000 homes and hundreds of commercial and industrial buildings were damaged or destroyed, totalling nearly $3 billion in damages. 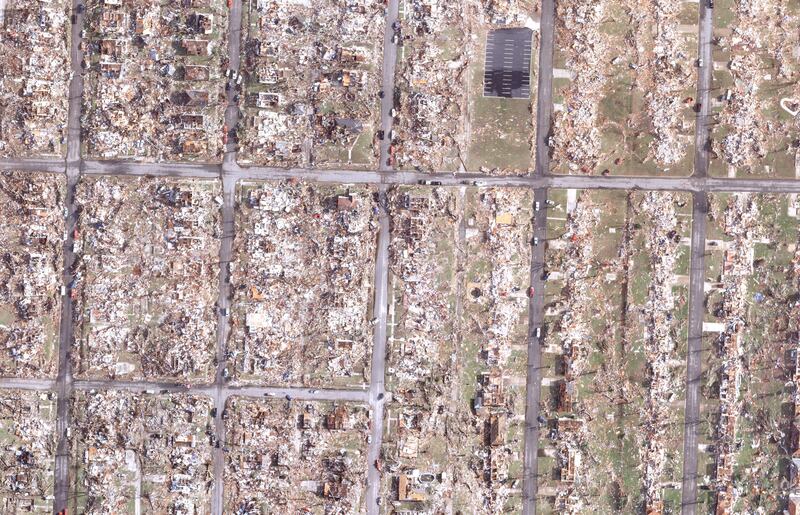 The six-mile streak of damage through the heart of Joplin was among the most intense instances of urban damage ever recorded, and the area of EF4 or greater damage at times reached more than half a mile wide. A damage survey by the National Weather Service found that the maximum wind speeds within the tornado were in excess of 205 miles per hour, while some have suggested a peak wind speed of 225 to 250 mph. Three days after the tornado, Will Norton’s body was found in a small roadside pond just feet from where he was ripped from his vehicle. The same day, a “John Doe” patient at an area hospital was identified as Mark Lindquist. He had been found more than two blocks from his original location, where he was thrown into the rubble of another home by the tornado. Despite suffering grave injuries and a rare, life-threatening fungal infection, Mark woke up after spending seven weeks in a coma. As Dean Wells’ daughter prepared for her father’s funeral, she rummaged through his desk in search of a recording of Dean whistling “Amazing Grace.” On a church program from shortly before the tornado, she noticed a short quote that her father had scribbled down. The eerily prophetic quote defined not only Dean, but countless others in Joplin on that Sunday afternoon in May. Your best work yet. Some of those photographs – particularly the ground view of scoured pavement near Home Depot and the thrown parking stops – are rare finds. You also insert the human element into the whole story, which adds a whole new level of professionalism and depth. Thank you Max, appreciate it! I was kinda surprised that more people didn’t take photos of the scouring at Pizza by Stout, that was pretty impressive. You got some ground-view pictures that I had been looking for a long time. The Pizza By Stout one is particularly impressive, at least to me. It’s been over 10 years (man time flies) but I remember the time I ate there, and now it’s gone forever…really odd feeling, especially when I think about how it could’ve turned out if I was in there. I’d never been to Joplin before, but I stopped briefly when I was chasing last year. It’s very eerie, I can’t imagine what it must be like for those who live there or have a history there. It’s mesmerizing in a depressing sorta way. I’d have thought the folks at Springfield NWS would have taken some photos of the asphalt scouring. I’m surprised there aren’t more photos of the parking stops too. I guess part of the problem is that most folks aren’t really good at gauging what represents the most intense damage. Well, this was just during a visit with relatives in Carthage, I always loved Pizza By Stout, and I’m mad because it’s gone forever now (the owners decided not to rebuild). I didn’t go down to Joplin, but I know a few that did after the event. Most of them had to spend time in emotional counseling (some might still be), presumably due to some of the stuff they saw. My wife and I are survivors of that day in Joplin. Pizza by Stout was one of my favorite places to eat in fact. We lived at 17th and S Minnesota, 4 blocks North of the High School. We rode it out in our interior bathtub while the storm roared by. Our home wasn’t leveled but we sustained heavy damage. I’ve always been struck by the aftermath. I got the chainsaws and ladders in our truck and helped for weeks cleaning up and salvaging what was left of peoples’ lives. I distinctly remember two separate occasions, days after the tornado, of driving along and seeing bodies being identified. You became used to driving over debris and power lines and the overall horrors that were right there in front of you. Many people forget that we were also under tornado watches for the next three nights and the siren network was damaged. That was terrifying in itself with all that debris that even straight line winds could turn into projectiles. Thanks for stopping by! 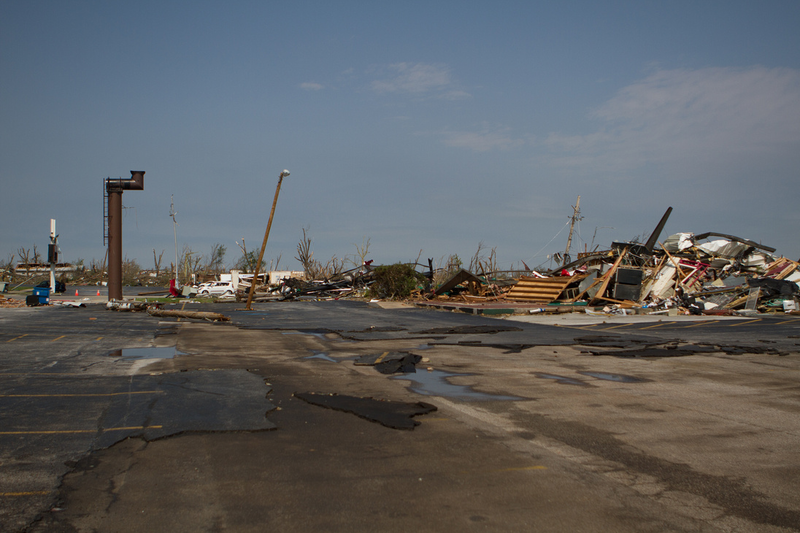 It’s hard to imagine what it must have been like for those of you who live in Joplin. I’ve volunteered after tornadoes before, but between the intensity and the sheer scale of the damage I don’t think I’ve ever seen anything quite like it. It looks like you’ve turned a terrible experience into a positive thing with your business though, hope things are going well. Thank you. We were a few of many that left after that day, my wife and I moved to Ohio 3 weeks after. She has a rare medical condition called Mastocytosis and we needed to move closer to her specialists. The tornado gave us the final shove to go. When you look around your hometown and no longer recognize half of it the decision was easy to make. I wanted to thank you for your gripping account of that day. It’s very hard to express what unfolded in that tragedy but you have captured the story exceedingly well. As we come upon the second anniversary our hearts and minds are easily drawn to the horrors instead of the heroes and your story brings a unique view. I hope people are listening and if we can wake just one person up we’ll have done a great thing. .
Yeah, I’d imagine it would have been quite difficult to stay after something like that. I’m sorry to hear about your wife, I hope she’s doing well! And thank you for the kind words. I’ve always been fascinated by severe weather and tornadoes, but I think sometimes it’s easy to overlook the human element. It’s not just a death toll or an EF-rating, it’s people and communities and lives that are changed in seconds. And the many tales of heroism from Joplin were especially compelling. I lived through this horrible monster, and I’m working through therapy because of it. My husband and I with our two children lived near 22nd and Wisconsin. I’ve been looking to try and find some information on exactly what happened, how the storm formed, and even pictures of the monster it’s self since I never saw the thing. I’m glad I came across this. Thank you! I haven’t been able to read all of it yet, but I did glance through all of the pictures. Do you happen to have more that you’ve put up some place else? I really only have the dramatic pictures from my own rubble, and my parents’ place. Not only did I survive, but it was me, my husband and our two kids, my parents, Grammy, brother, and my sister with her twins. We were all scattered from one end of the monsters path to the other and some how we all managed to live with minor injuries! Needless to say, after our own was reduced to just the foundation and rubble, we left the week after the monster hit and moved to Oregon. Thank God there isn’t violent weather here. I honestly don’t know what I would do if I were still out there right now! I added the link to my site with my tornado story on it if you want to read it. Thanks for commenting Cassie! That must have been a pretty terrible experience. It seems many people decided to leave after the tornado struck, and I can’t say I blame anyone. I’ve actually thought about moving to Oregon some day, it’s such a beautiful place. I have lots of photos saved, anything in particular you’re looking for? There aren’t a lot of photos of the tornado itself, but if you haven’t seen it yet The Basehunters probably have the best video of the tornado. It’s pretty chilling. I’ve bookmarked your site and I’m gonna read it later tonight. Thank you for sharing! Not surprising, and it illustrates one of the bigger problems with the EF scale. Most of the homes in Joplin, like almost everywhere else, are not well-built. Only homes of “superior construction” can be rated EF5, and there just aren’t many of them out there. You could have a tornado with 350 mph winds, but if it only hits poorly built homes then you couldn’t rate it much higher than EF3. 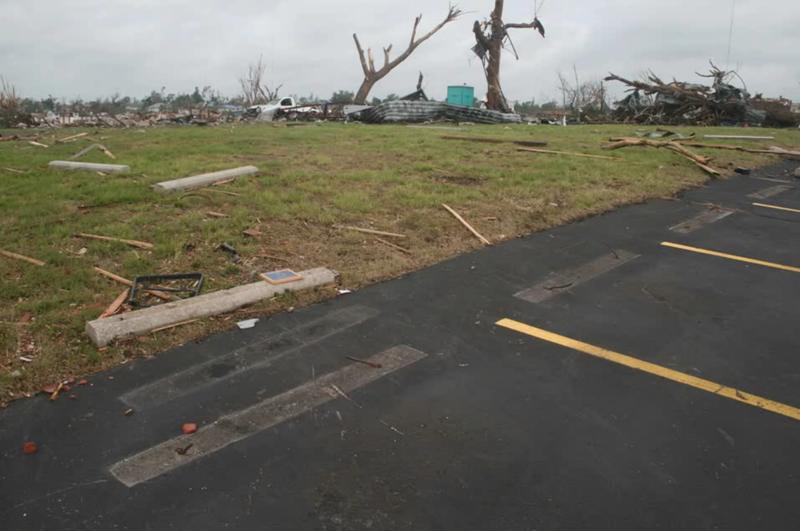 I still think Joplin belongs somewhere on any list of the most violent modern tornadoes, but if it hadn’t been for the concrete parking stops and manhole covers, Joplin may well have been finalized at EF4 due to poor building construction. 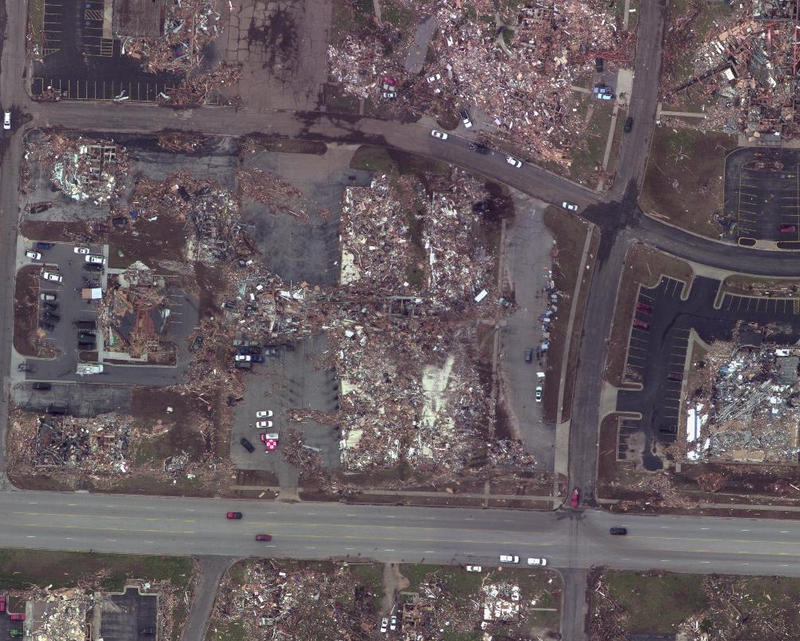 I personally think there’s plenty of other evidence of EF5 intensity besides the parking stops and manhole covers. Extraordinary tree and vehicle damage, ground and asphalt scouring, extreme debris granulation and stripped/uprooted low-lying shrubs are all pretty strong indicators. Shawn I have to disagree with your comment on poor building construction. I lost my home in the tornado that day. Thankfully I was not home. I lived at Hampshire Terrace that was just 2 blocks to the east of the high school, I was right next to Dillions. Most of the apartments that were on the first floor still had all walls standing while other newer apartments were almost totally destroyed. Maybe I am just taking your comment a little too personal because I lost my home and a good portion of my hometown. I just know that even though my apartment was a older one it held up alot better then some of the other newer apartment buildings. Hi Tess, I certainly don’t mean to imply that all of the structures in Joplin were poorly built, just that there were many that weren’t well-constructed by EF-scale standards. Some older homes were actually built much better than newer ones, though hopefully that will improve with the updated building codes. 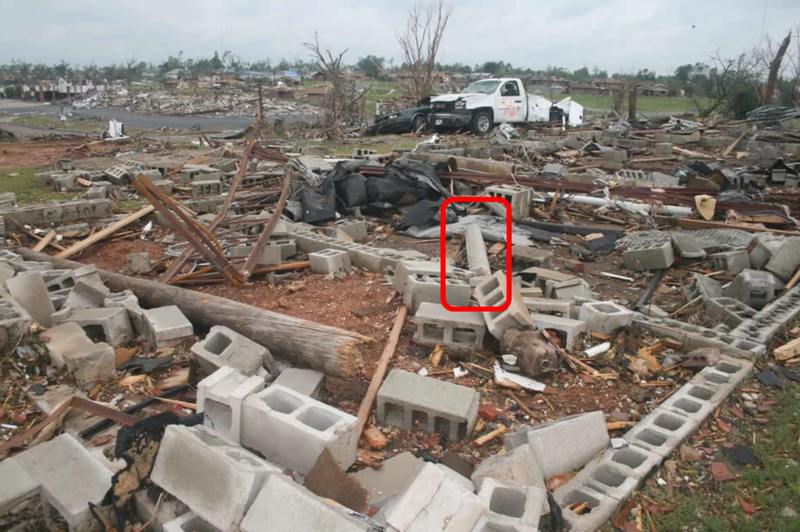 You can’t really build a normal home to withstand direct impact from an EF5, of course, but better construction (hurricane clips, better anchoring to foundations, etc) likely would have saved lives in Joplin. Anyhow, I apologize if my comment came off the wrong way. I know there’s understandably a lot of emotion wrapped up in this event, and I didn’t intend to offend. But, construction quality plays a big role in tornado risk, so I think it’s important to understand what went wrong so that it can hopefully be mitigated in the future. Thank you that clears things up a bit. Also the hospital suffered severe damage, would that have been EF4 or EF5 damage proof because most hospitals are built very well. I live in Joplin and I don’t think you owe anyone an apology. I lived at Hampshire Terrace back when it was first constructed and it was well built even tho it was for low-income housing. Many of the homes around the high school were also well built. But the majority of the homes along 26th Street from Cunningham Park on to Main Street were old homes used as rental properties which were built cheap and were not maintained well. Of course there are always exceptions here and there but I have lived in Joplin all my life and that’s just the way those neighborhoods were. I agree with earlier comments that it is better to focus on the de-barked trees, the parking stops pulled up, the manhole covers flung away, and asphalt scouring to determine the strength of the tornado. Some of the homes were very nice and well built but some of them were just cheap and built to the bare standards. I sometimes wish it HAD been the expensive part of town that had been hit cause those people had insurance and the ability to rebound better than the poorer section that was taken. Joplin we just need to tell it like it really was. upon this website. Studying this information So i’m happy to convey that I have an incredibly just right uncanny feeling I found out exactly what I needed. I most undoubtedly will make certain to do not fail to remember this web site and provides it a glance on a relentless basis. Although this is obviously spam (don’t go to the link, folks), I’m gonna keep it. I’m not sure I’ve ever seen such an impressively insubstantial word salad. Good job! Was the hospital damage indicative of EF4 winds? I heard that whole steel warehouses were destroyed; same with certain small businesses so wouldn’t that count as EF5 damage or does it only have to be houses of superior construction? Although EF5 ratings are often associated with homes of “superior construction” (since they’re the most common DI), they don’t have to be derived from homes; shopping malls, mid- and high-rise buildings and some institutional buildings can also be used provided they’re of good construction. My guess would be that any warehouses that were destroyed would probably fall under the “metal building systems” DI, and since they’re generally constructed with wide spans, very tall walls and doors and weak connections, they don’t provide as much resistance as you’d think. 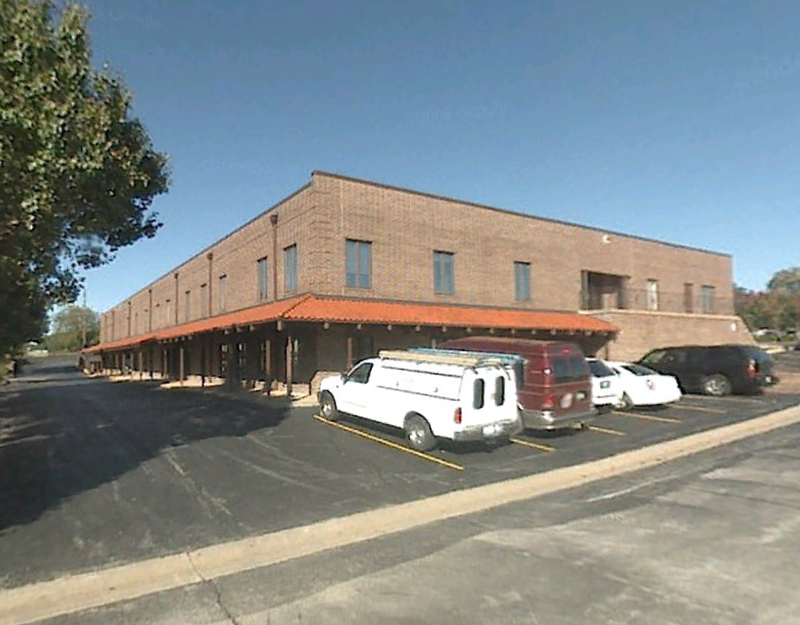 Most commercial buildings are also not as well-built as you’d expect. I think it goes to show how frustratingly difficult it is to record EF5 damage. It’s one of those cases where the absence of evidence (a lack of structures able to be rated as EF5) isn’t necessarily evidence of absence. Hopefully in the future we can find some way to add additional indicators, but I’m not sure we have many options. 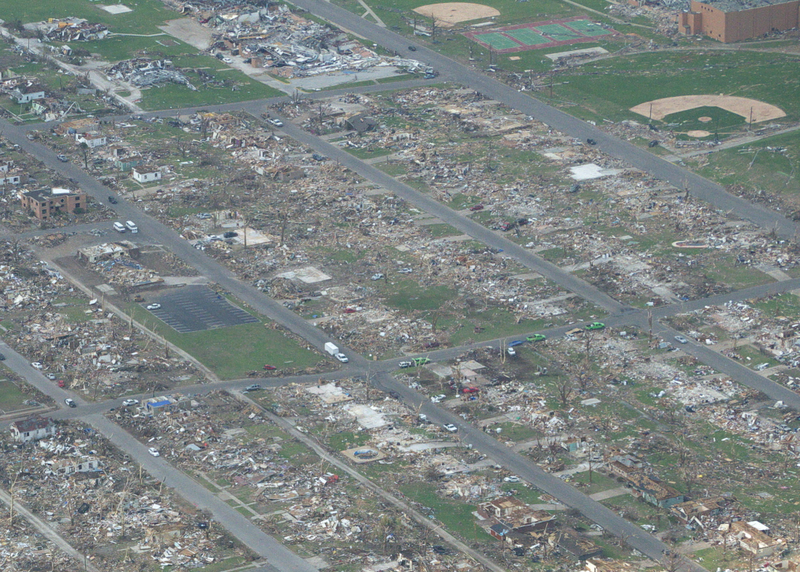 We lived three blocks north of the Joplin High school. It was something I will never forget, and we actually moved shortly after to a place that has fewer tornadoes and for me to seek medical care for a rare medical condition that I have. They can happen anywhere at anytime, so being prepared and having a plan in place is essential for surviving a tornado of this magnitude. I have been through more tornadoes than I can count,but none ever sounded like this one which we were right in the path of. It caused my ear drums and eustachian tubes to retract and only one of them has gotten better over the last two yrs. The pressure was so bad that was building up in our house and it started shaking. We were hearing our house get hit so much it sounded like bombs going off, plus breaking glass and rain and wind coming in. It was a day I will never forget. My heart is still in Joplin along with many prayers for my family members that remain in tornado alley. I’m glad you made it out okay, Allie! Yes, a plan of action and some basic supplies are extremely important. Even if you live in an area that very rarely experiences tornadoes, you just never know. Strong/violent tornadoes have happened in all sorts of unexpected places, and it doesn’t take an EF5 to do some serious harm. I can definitely understand moving away, a number of people have moved out of Joplin after the tornado. I’d be interested to see if there are any statistics on that, I’ll have to look. Joplin and its residents still have a long road ahead of them, but it seems the recovery is going well. Hopefully the people are starting to heal as well. If you’re interested in what happened to Joplin in the one year following the tornado, click on this.. all proceeds go to “Rebuild Joplin”..
Carlie, the weather the day before the tornado was mostly cloudy and overcast in the morning, clearing out around 11 a.m. and reaching a high of 82º around 4 p.m. The low temperature of 60º was reached around 6 a.m. It was very humid in the morning hours, becoming less so in the noon, and then quickly becoming humid again in the late afternoon as low-level moisture raced northward. Winds were generally 15-25 mph, mostly from the south. Temperatures dropped to the low-60s after the tornado and remained there for most of the following day, and after a brief clearing overnight, the rest of the day was a scattered mix of severe thunderstorms and rain. This made search and rescue very difficult and dangerous, leading to the death of Police Officer Jeff Taylor when he was struck by lightning as he assisted with search and rescue. I would like to add that we had tornado watches and straight line wind warnings the day after and thunderstorm and other warnings for the following three days after the tornado. Keep in mind the tornado siren system was damaged and we actually had sirens completely gone in a lot of neighborhoods. Without power and crippled cellular reception there were only a few ways for people in the disaster area to hear the life saving alerts. Search and rescue was more than difficult and the added rain and wind made it really hard for people to collect and preserve any belongings that weren’t already destroyed. That’s correct. There were a handful of reported ~60 mph thunderstorm wind gusts in the Joplin/Webb City area, along with hail up to one inch. It was a very active time period, which certainly didn’t help the recovery in Joplin. Thank you, Hope. It’s hard for me to imagine what that must have been like, as I’m sure it is for anyone who has never gone through it. Those of us who are weather geeks tend to get excited about severe weather and not think as much about the terrible human impacts, so one of my aims with this blog is to help people understand just how devastating tornadoes can be. I was living just a block south of franklin tech on iowa street. if it wasn’t for my sense of fear to go back out after the 2nd set of sirens went off and my sense of hearing mom, our 3 dogs and myself wouldn’t be here today. in that frightening time of our lives we lost my dad who is missed so very much and loved. its been 2 n half years and finally reaching my goal I have finally purchased my own home. and in the not so distant future a in ground shelter is going in that is my 1st priority. and to keep my promise I made to dad I will always take care of my and the dogs for him. Congratulations, Jeff! I’m very sorry for your loss, but it sounds like you’re handling it well. In researching these stories, I’m always surprised at how the simplest little things can become life-saving decisions for people. I spoke with another person who just happened to go downstairs to check her laundry minutes before the tornado struck; if she hadn’t done that, she may well have not survived. It can be hard to make sense of sometimes. If you’re comfortable talking about it, I’d like to hear more of your story sometime. Are you still living in Joplin? And that’s very good to hear re: the shelter. I’m sure many people see it as an unnecessary expense, but I don’t think you can put a price on your family’s safety, especially for those in traditionally tornado-prone areas. Also, would you mind telling me how you found my site? I got a sudden surge in visitors from Facebook today, but WordPress doesn’t tell me what page(s) in particular. from a friends link on my facebook page. i dont mind talking about it, still living in joplin now about 2 miles from the high school closer to range line. bought a new construction just happen to get lucky and find it on realtor.com and talked with my agent well 2 months later mom me and our dogs are cozy. the day started like any day i go to walmart, get gas, watch tv with a bowl of ice cream and a watch got issued (not big deal like normal) then a thunderstorm warning (again no biggie) then some hail coming down big ones about the size of a quarter, i happen to get a piece before it hit. the sirens go off (again no biggie) i go back to watching tv, the sirens go again (now im getting nervous) mom n dad was watching a ballgame and was watching a sitcom. i went to the back porch to look and the sky was getting green ( my fear level went UP, i was looking northwest the storm was coming from southwest. i never turned my head i heard that freight train sound and yelled at mom n dad to get the dogs, get in the hallway get down and cover your heads NOW (we had maybe 10 seconds after i heard it) dad being stubborn thought the same as everyone else (joplin has never been hit) he sit sit casually, as soon as he did the power went off ( i knew it was here ) and it got blacker than black, the walls started shaking then i felt the roof and walls going, dirt was coming up under into my mouth (i was on hard wood floors) a split second before we took cover i grabbed my phone and thank god i did, the couch in the front room came through the wall just a fraction of a second the wall caved in on mom and i, i had my dog she had 1 of her yorkies, im constantly yelling at her and i kept hearing her but nothing from dad, mom heard him stop breathing. she was asking me if i could move i couldnt, im trying not to crush my dog, but her foot is pinned she was behind me. we were trapped for atleast 30 mins before Jeff Piotrowski and some other people helped us. i was able to get a 10 second call to my sister while being pinned before the cell service went dead. after we got out mom and i seen my dad he got pinned under a huge piece of ceiling slab. i came out with my left leg scratched up and mom just 2 broken toes. on my facebook page i have pictures of the hail to the aftermath to the cleanup. im getting back to handling a seere storm or an “occasional” tornado warning but its the “PDS severe multiple outbreaks” that i cant handle. Jeez, that’s terrifying. I’m happy to hear that you’re doing well though. It’s heartbreaking to think of how many people may still be here if it weren’t for the “it never happens here” line of thought. There were many factors that led to the tragedy in Joplin, but that was certainly one of them. It’s an unfortunate part of human nature, but it’s something that I hope has changed since the devastation of 2011. I’m reminded of the Tri-State tornado, after which the average yearly number of tornado deaths per capita dropped considerably. Some of that was unrelated to the tornado, but there was a significant increase in public awareness of tornadoes, and many people chose to build shelters or safe rooms afterward. It would be nice to know that some good has come from this. To your last point, I certainly don’t blame you. I think I’d be terrified of any sort of warnings after something like that. Would you mind linking me to your Facebook? You could send it via email if you don’t want to post it publicly. I’d like to see your photos. With part of the money from my inheritance after my mom’s death I put a shelter in at my son’s home and one at my own home. Besides that, I would like to put in a plug for weather radios. They can have battery back-up if the power goes down. It was my little weather radio that woke me from a nap the day of the tornado and enabled me to get to shelter in time. Otherwise I would have been lying in bed when it hit my house. The sirens were blown away or had no power after the storm but the weather radio is a completely different system. With battery back-up you can unplug it and take it with you to your shelter and still know what is going on. Good point, Julie. Ideally everyone ought to have multiple ways to receive warnings, most importantly NOAA Weather Radio. There are several excellent smartphone apps as well, though it may not be as reliable as a weather radio. You can never have too many sources for warnings. 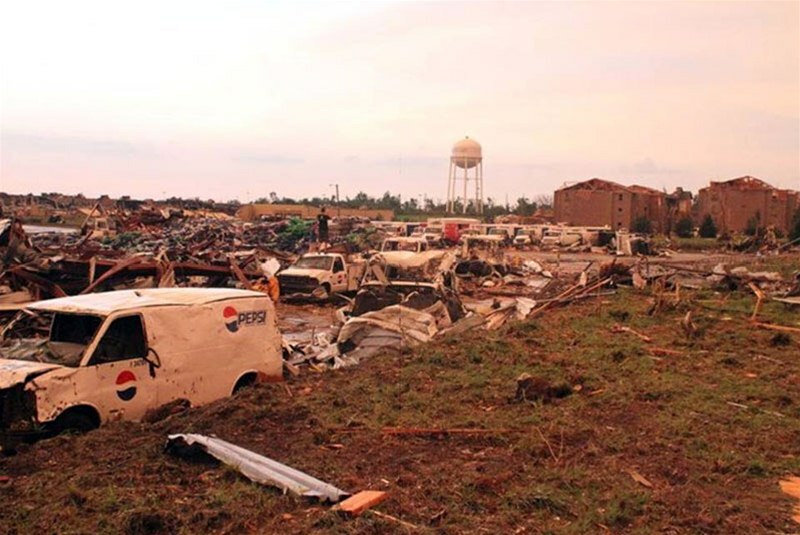 During the April 27, 2011 outbreak, for instance, some weather radio transmitters were damaged during the early morning storms and remained non-functional throughout the outbreak. Combined with widespread power outages and cell network damage, it made it very difficult for some people to get timely warnings. The thing about relying on sirens is that they aren’t really intended to warn people who are indoors. They’re intended for people who are outside and may not have any other way to get info, but too many people rely on them for their primary warning. They’re still quite useful, but they shouldn’t be relied upon. My family and I, are survivors of that dreadful night, as well. We were on the 3rd floor of St John’s Hospital, when the tornado ripped through our city. We feel very blessed, to have walked away. Hi Heather, would you mind sharing more of your story? I haven’t heard from many people who were in St. John’s when the tornado struck. I would love to share. Do you have an email? I have my story and my sons account of that night, on my FB page, and pics as well. Sure, I have a link to my email on my About page. I’m very sorry for your loss, Kevin, but thank you for sharing. You’re right, I really can’t imagine what that experience must have been like. I read thousands of accounts through the course of my research and I’ve had some very difficult experiences, but I don’t think I can really appreciate what it’s like to have your entire world altered in a matter of moments. Do you still live in Joplin, or have you moved? I do still live here. Very proud of this town and still difficult to go my old neighborhood. We resided there for about 25 years. I drive by and stop for a min and relive my childhood. So many memories. Kevin, I just came across this article and saw where you lived. I am very, very sorry for your loss of your mother. My heart breaks for you. I lost my own mother just nine days after the tornado. I live in Ohio now, but grew up in Joplin, at 2410 Kentucky. A dear friend of mine, when we were children, lived in the house you lived in. I wonder if you would contact me back….I am looking for pictures of that homes on that street. You can catch me on Facebook at “Kendra Stith Mizer”. Thank you and God bless you. Wow. This is truly a fascinating (yet chilling) look at what happened that day. It brings back memories….and a profound sense of gratefulness. Your picture…the one of the area between Iron Gates and Shifferdecker has my house in it. I have never seen that one before…but I can see our treehouse…still standing. Here’s a link for a personal perspective..http://strollingautobahn.blogspot.com/2011/05/may-22nd-2011.html Thanks for your work on this….and your kind words, as well. Dean Wells was an extraordinary man and I am forever grateful to him. He was not only helping my 2 children, Harli and Hayze to safety, but my husband, Rusty as well!! Thank you very much for commenting, Edie. I’ve been meaning to update that portion to include information that I couldn’t find at the time I wrote this. Your family’s story really struck me, as did Dean’s. It’s heartbreaking, but also inspiring how many people were willing to sacrifice everything to try and keep others safe. My deepest sympathies Edie, I hope you’re doing well. He will always be a hero in my eyes. He sacrificed his own life and went to unlock the door because he saw a daddy standing there holding his 2 babies. I had really given up on the thought of much good in this world. He helped me to see, there still are good people out there. I was born and raised in Joplin and have lived here my whole life. I just want to tell you thank you for this piece. I know many people will never understand exactly how bad it was and still is, but it’s a daily reminder for all of us here. Thank you so much for specific names and stories you mentioned. It had me in tears. Thank you for the kind words, Arlisa! Researching the many stories for this event was heartbreaking. I was nervous about telling individual stories because I didn’t want to upset anyone, so I’m glad to hear from Joplin residents. I actually went to help a Cancer Clinic located diagonally from St Johns to clean up, the two doctors that practiced there cared and helped both my parents the last years of their lives keeping them alive as long as they could. I felt this was due to them after all they did for my family, so my husband and my daughter and I went down to help clean up. After seeing the devastation I had my daughter taking pictures of what once was where I walked the streets as a child 40 years ago now suddenly gone. In one of 200 some pics there is a angel standing infront of what used to be a business with her arms out. I did try to get this pic to the papers in Joplin, the Joplin globe but they would not return my emails. She is beautiful, you can see her jaw line her hair, her robe and the rope around her waist. God bless everyone in Joplin and all that was in Joplin and she is proof of that. I would love to see the photo of the angel. I believe in angels and so many don’t. I’ve never gotten any pictures though. I am survivor of that day and i was also in the graduating class. The day before me, my family and friends had a graduation party at the park by Dillon’s. After i had graduated, me, my mom, sister and a couple of family friends had taken cover in our house, which is located just northeast of the Walmart. Two of my aunt’s and uncle were on their way back to Tulsa, Ok, and they had taken cover in their car just North of 32nd Street. Our house wasn’t leveled but it had roof damage and a few broken windows. I am an amateur storm chaser and so is my father, i was going to go out chasing with a friend, but then he called and said not to go out because it was raining sideways. My father had left the graduation to go chase and he was at 13th and Rangeline and stopped because it was so windy and the rain was so heavy he couldn’t see the road in front of him. After the storm had passed, he tried to come home and had trouble because there was a tree down in the road we live on. There was also another tree that had fallen and if had fallen the other way, it would have fallen right on our house. My sister is still scared every time the sirens go off. my mother was a patient at St John that day she was on the 3rd floor with life support machine on her and feeding tube in place we don’t know if she was carried out or taken out and we could not find her the day of the tornado, my daughter and her husband their daughter were at St John minutes after it was hit to find my mom, she was never found, running by foot to freemans with nothing days later calling the college to see if she had passed with nothing, four days later a nurse called my daughter and said they had her in Witchita, Ks, that a man was walking around the hospital the next morning and found her laying on her stomach he thought she was dead, but with closer looking she was not, and he called 911 and a Wichita Ks helicopter picked her as a jane doe she had no id on her the braclet was gone, the nursing that received her at Wichita scaned her pick line and her name came up and also missing from the tornado, we found mom, what a relifef she was a live, we have never been able to find the person that found her and would love too, but don’t know how he was just a walker to look at the debrie in the area. Mom died a few months later nothing to do with the tornado, but why she was in the hospital in the frist place but it was a horrible ordeal, thank you for shareing this site who knows we may find the person that found her. Wow, it’s miraculous that your mother survived all of that. I’m sorry to hear of her passing. I hope some day you can find the man who found her! 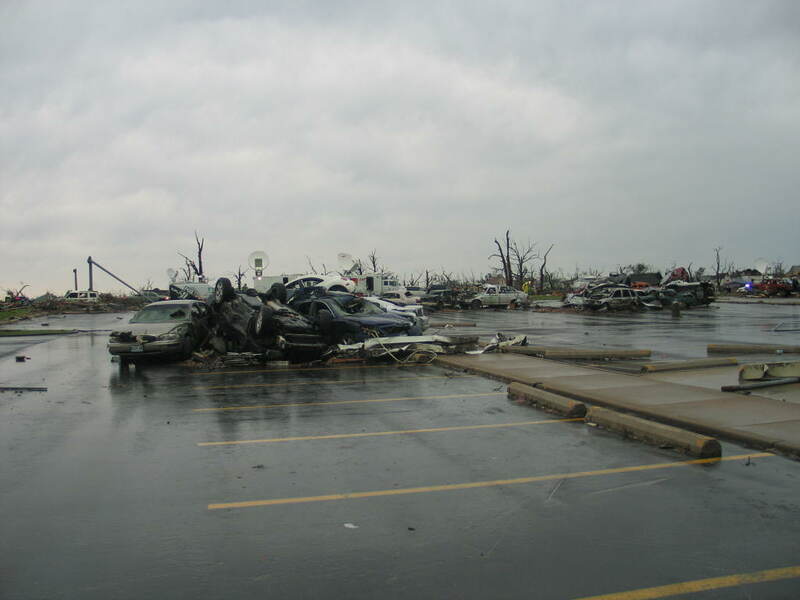 My husband and I lived in Joplin for many years and moved about six months before the tornado. We’ve only been back once to visit since, and it was quite odd. So many memories are simply gone, including a duplex that I lived in for two years near 26th and Connecticut and many of our favorite local eateries. Thanks for the scientific information about the storm. It’s very interesting, although still erie to read. I would like to say that not everyone who lives in that area believes that a tornado isn’t going to happen to them. To the contrary, I found that most people took the potential for tornados quite seriously. Yes, warnings and watches were a part of life down there, but the fact that people carried on with their normal routine doesn’t mean they didn’t think it could happen to them like a bunch of delusional teenagers. It simply meant that everyday life couldn’t stop every time there is a potential for tornados. It that were the case, the entire town would shut down for the entire spring and fall, and a good chunk of days in the winter. I certainly never suggested that anyone is delusional, my point is only that no one thinks something like the Joplin tornado is going to happen. It’s human nature. I’ve spoken with many tornado survivors, both in Joplin and throughout the country, and one of the things I hear very often is “we didn’t think it would happen here,” or “we get tornado warnings all the time.” Obviously people understand that a tornado can happen anywhere, and in fact Joplin has been struck by tornadoes several times (most notably in 1971 and 1973), but no one really would have expected what happened. I don’t mean to offend anyone, but I think it’s important to understand what went wrong. There were many, many factors that came together to produce the disaster that unfolded, but one of those factors was complacency. As you said, you can’t possibly stop everything and run to the basement with every tornado watch, so after a while you can’t help but get complacent to the threat. For many of the people that I’ve spoken with, they didn’t begin to take the threat seriously until the second siren, and some didn’t take protective action until after they’d already seen or heard the tornado themselves. The NWS Service Assessment tells a similar story. It’s unfortunate, and there are no simple answers. Until such time as we can say with certainty that “this thunderstorm will produce a damaging tornado in this area at this time,” it’s going to be a challenge. Thanks for posting this story and photos. Some of them I don’t remember seeing before. I have never really taken the time to sit down and write my personal experiences from that day, but decided that I would today after seeing the story on Facebook, and looking at the attached images. I apologize in advance for the length of this, but once I started, the memories all came flooding back. For me, it started like a normal Sunday. I mowed the grass before work. It was impossible to see while mowing, what the rest of the day would bring. I noted the weather advisories before work. We had a tornado in Joplin when I was 11, on May 5, 1971. Ever since that day, I was always fascinated to say the least, with tornadoes and weather. I did not fear the storms, but had a healthy respect for them, and tried to always be informed. So I arrived at Academy Sports + Outdoors (where I worked), at around 2:00 that day. I was able to check radar on my cell phone, and on the company computer. My girlfriend Angela, who had been visiting in Parsons, KS, was on the way home. After learning of her safe arrival at home, I asked her to watch the weather on TV, and call me if she heard anything, since I did not have access to local TV at work. I had a co-worker ask me as the storm approached, if it would be safe for her to go pick up her daughter. I told her that it didn’t look very good, because as I was reading the radar, the storm appeared to be taking a right turn toward us. I stayed close to the computer, and tried to go occasionally to the front door of the store. The front door faced the west, and we had a good view of the western sky. When the sirens sounded the first time, the page was made for customers to either leave the store, or take cover in the back with the rest of us. Some left, but most stayed. The other manager who was working with me, took the customers to the bathrooms, and adjoining hallway in the back of the store. When the store was confirmed clear, the rest of the employees took cover there as well. The other manager and I were in contact with each other by wireless store phones. After the sirens stopped, quite a lengthy time passed. The other manager called me and told me that the customers had grown restless, and were wanting to leave the shelter area. I told her that I didn’t believe that the threat had passed, and for her to try to convey that to them. Angela called me from home, and said the local TV station had a tornado on the ground just west of Joplin. Then the sirens sounded for the second time. I really thought for the first time, that it was actually going to happen. After living in Joplin our entire lives, we get used to sirens and storms this time of year. But this seemed to be the real thing. After watching a while longer from the front sidewalk, I decided it might be getting too close, and it might me time for me to head to the back with the rest. As I started back the phone rang. I went to answer it, and it was a co-worker wanting to know if our store meeting was still being held that night. We had scheduled an all-store meeting that evening, and everyone would have been there. I told him that I didn’t have time to talk because of the tornado that approached. As usual, things happen for a reason. After getting off the phone, I turned around, and one of our co-workers who had been to lunch, was banging on the door, trying to get in. By this time, the wind and rain were getting very strong. I let him in, and told him to go to the back with the others. The random phone call probably saved his life. I would have already been halfway to the back otherwise. I stood and looked through the glass for a minute or so. Then I saw it. It was probably no more that two or three blocks from me. I didn’t see the actual tornado. What I did see, was the all the rain, and everything else, moving completely horizontal. Although I didn’t see the funnel, it was obvious. So I started to run to the back to take cover. On the way, I looked for a spot to jump under, or something to hide behind, because I was afraid I wouldn’t make it in time. Looking back, I’m so glad I didn’t do that. I came around the corner, into the shelter area, and told everyone to get down. Everyone got down along the wall, just like we were taught in school. In a heartbeat, it was on us. I’m not sure exactly how long it lasted, maybe 20 or 30 seconds. The screams of the people I worked with could be heard. I was afraid that this could be the end, but had no control to stop it. Then it stopped. We started to stand up and in a moment of relief, I said “We made it!” Then the backside of the storm hit us. We had no idea that the tornado was large enough to have an eye. But it did. We got back down on the floor. Something kept hitting me in the back, but I wasn’t sure what it was. Some kind of small pieces. I wanted to turn around, but I was afraid to. For the people who later asked me what it was like, all I can say is that the wind was violent beyond imaginable. It was a great force, and I felt that if any one of us would have stood up, we would have been swept away. It was the longest minute of our lives. After the storm had passed, we checked on the people, to see if we had injuries. We had some broken bones, cuts and bruises, but no fatalities. We all had survived. Some of the injured had covered or thrown themselves on top of someone else to protect them. The heroes I’m proud to say I worked with. Then, we were in kind of a funk for a couple minutes. We were standing in water, the roof was gone, it was raining in, and there were electrical fixtures down and hanging from above, and the alarm was going off. It was like a scene from a movie. After exhausting a couple of escape routes, everyone started to try to make a path to the front door, climbing over and around debris. Eventually, we all made it out. I felt somewhat in control of my emotions until I walked out the front door. The view to the west had changed. I felt my knees get weak, and I started shaking. Just looking around at all the buildings that were leveled, and all of trees that were sawed off….it was a shock to say the least. Our town was gone. After everyone had been accounted for, and the building had been secured by guards, I decided to make the walk home. All of our cars were destroyed on the parking lot, and there was obviously no way to drive out anyway. I lived about 2 ½ miles east of Rangeline off of 20th street. As I walked home, it was getting dark, and I passed a lot of people walking toward town to have a look. I passed two goats walking down 20th that had been freed by the storm. Power lines were all over the roads, and there were a million pictures that could have been taken, given more light. I kind of lost where I was at times, because nothing was recognizable. I had passed the roundabout at Duquesne Road, and didn’t even realize it. When I got home, the tornado which had been hugging 20th street for a lot of its path, had veered to the south, and had spared my home, and my neighborhood. We lost our largest trees, and a little of the roof, but Angela was safe. She had taken cover in the bathtub. If you took the time to read this, I applaud your patience. So many more details were left out. But it was good after almost three years, to write it down. Wow, it’s incredible how little things like that phone call can make such a huge difference and even save lives. There were many, many heroes that day, which is something I’ve always found so inspiring when researching disasters. There are always people who are ready and willing to sacrifice their lives to save others, even complete strangers. I appreciate you sharing your story, Randy! I would like to say a few things first thing a very intense story you wrote. It really gets to the part of your body that makes you get the chills specially if you bore witness to the aftermath of the May 22 tornado.now for the reason I am leaving a reply is to thank you and the thousands and thousands of people who helped rebuild the city of Joplin whether it was picking up a hammer or helping us how to figure out how to be safer in the future. I don’t know if this could set some folks off because I don’t mean to.but if I had to pick the day of the week for this to happen it couldn’t have fallen on a better day. On a Sunday now let me explain. on any given weekday we have a hundred thousand cars that travel on Rangeline road if this would of been a weekday the death toll might of been triple same for a saturday. But it was a Sunday a Sunday that filled a college auditorium full of people. at or around dinner time. When most of the local stores are at there slowest in between church services. This couldn’t have hit at a better time people where awake some what aware.of the possibilities of a potential storm coming.of course I wish it wouldn’t have ever happened but it did.I know there’s a lot of people who could careless what day I think was best for it to happen. It’s just my opinion nothing more. Iwas one of the lucky ones in town who played chess with the storm . Most of my family and I was in the middle of town just getting ready to leave the mortuary around 5:00 that night arriving home ust before it was going through the heart of town. I was fortunate by best friend who had just dropped me o.was not so fortunate or I guess I should say his house wasn’t he lived behind Wal-Mart he made it home in time to gather is family in the bathtub as the tornado ripped his home apart.but as far me I live off 32nd street just getting home I was talking on the phone standing on the front porch lhe west at the clouds over the tree line that green color in clouds you wrotebout so true . The power went out disconnecting my phone call that I noticed a sound that wasn’hear everyday. I thought to myself what is that. When it dawned on me as I ran into my house to grab my son and the dog to get under the house. I can remember that roar the air was thick feeling we sat under the house I watched the tree in the back yard 150 foot tall 5 foot around bend in the middle towards the north and whipped back to the south bending like it was nothing picking up my cell phone trying to make a call to know success I turned the fm app on to a local radio station if you could get that recording from the local radio station it pretty muchums up how much of the people in Joplin felt total disbelief as he travels down rangeline you can hear the fear in his voice as he trys composer on the air traveling north on Rangeline he starts trying to relay where he is at and he is having a hard time saying where he is at its it unrecognizable. As I crawl out from underneath my house I am wondering if what I’m hearing is true my house and everything around me seems fine. My thoughtsthen go to my friend who had just dropped me off less than a hour before as my son and I race to the car my phone rings in a brkjen conversation with my ex wife I get that her mom is in town at a local restaurant and she can’t get a hold of her it is on the way to my friends house I tell my ex I will check on her.coming on to rangeline from home everything seems unharmed that is until I came over the viaduct it looks like a bomb had went off.the thoughts in my mind are how could anyone have survived.my hometown has been obliterated. I had worked for the hospital and the fire dept. And thought I had seen just about everything.I had been through and seen tornado damage before. I had never seen anything like this. That’s why I want to thank people like you who try to keep people like us from getting to comfortable and keep us aware that it can and will happen to us again it we best be prepared. Spring is just around the corner.and with the cold and somewhat unusual winter we have been having. Could we see another large outbreak of tornadoes this year? Is there any indication with as much cold air that has been coming out if the north to determine what kinda season it may be? Thank you for your time and I am sorry about my rambling. 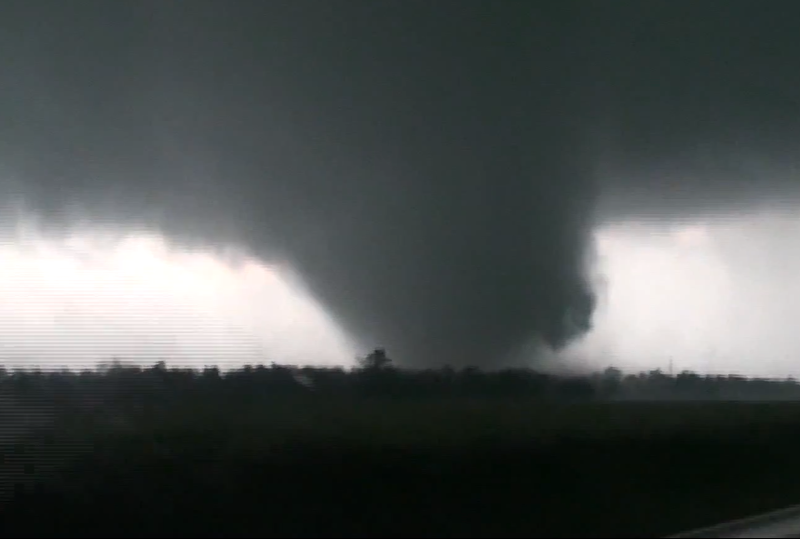 I still get a little excited when watching footage of tornadoes. Joplin is on the mends. Thank you Tommy. It’s hard to predict anything this far out regarding the severe weather season. I wouldn’t expect the cold air and arctic intrusions to continue into spring so I don’t think that’ll be an issue, though you never know. It appears we may go into spring with weak La Nina conditions. There’s some evidence to suggest La Nina may increase the odds for large-scale family outbreaks, especially in the Deep South and parts of the Midwest, but it’s not necessarily a useful predictor. One thing that may be worth keeping an eye on is the severe drought in the southwest. That’s a primary source of the elevated mixed layer (which I’ve written about in other articles), and the EML is an important ingredient in many outbreaks. If I had to guess about this spring, I’d say it will probably be near average. Keep in mind that “near average” may look like a very active season compared to the last two years, both of which were well below despite some high-impact events. The Gulf of Mexico has been quite cold compared to normal, which could have some impact on heat/moisture return come spring if that continues. Of course, the GoM was quite cold in January of 2011 as well, and that obviously had no impact on an historic year of tornadoes. Just too many variables that we don’t have a good grasp on yet. I do think it’s possible the peak of the season could be delayed somewhat, but it’s all just speculation at this point. And of course, as Joplin proved, it only takes one violent tornado in the wrong place to turn an otherwise marginal event into a disaster. Shawn, great work on this article. Thank you for hosting a friendly commenter section. I too survived ‘The’ tornado. Along with my parents and my sister’s family. Between us we lost three houses, seven vehicles, but no souls. In your Greenbriar Nursing home photo you can see the Northern half of my house to the left of Sergeant Ave. My parents live across the street and my sister next to them to the south. We lived directly across 26th from Greenbriar. The house directly across from me was completely gone. I have a theory you might be able to confirm or refute. I believe the eastern wall of the tornado damaged all the houses in our neighborhood, (and woke some). But the western wall destroyed them. I say this because, 15 or so people ran to my parents’ exterior basement entry. And I think they did that within the walls of the tornado. My Dad’s neighbor, including a napping infant, and some of their family were in my Dad’s basement after the tornado was gone. I think the western wall took their house away. God and his angels took care of me, but when I got across the street to Dad’s, he had 15 people from the neighborhood in the basement. I’m thinking they were blessed with a ‘calm within the storm scenario’. I think they got there within the middle of the tornado. Possible? Thank you, I’m happy to be able to talk with those of you who were affected, directly or indirectly, by the tornado. There are thousands of stories out there, and many of them never get told. I’m glad people are willing to share their experiences. As for your scenario, I’m not sure I understand it correctly. Those people ran to your parents’ basement during the storm, and you think they may have done so inside the tornado itself? What did they experience in that time? The tornado was completely rain-wrapped and almost impossible to see from many positions, so it’s likely they may have experienced the very strong winds on the periphery of the tornado, perhaps an inflow jet or something of that sort. We don’t have a clear understanding of exactly what the Joplin tornado’s structure was, but we do know that it was multivortex. It’s sort of like a bunch of smaller tornadoes embedded within a larger area of strong winds, all rotating around a central point. There’s some evidence that it may have had an “eye”-like feature, which appears to have been up to a few hundred yards wide. Judging by the audio recordings from some of the video taken by people inside the tornado, the relative calm of the eye may have lasted 15 to 20 seconds or so. It’s hard to say what it would have been like inside this “eye” feature, but it does appear there’s a brief but significant drop in wind speed. It’s definitely possible that the homes in your neighborhood were damaged by one suction vortex and then destroyed by a subsequent one, though. This is relatively common in large multivortex tornadoes, and it can also be heard in some of the videos. There’s often a brief (~10 second) burst in which the wind speeds dramatically accelerate and become violent, then they lessen, and a short time later there’s another burst of violent wind. This is likely one suction vortex, embedded within the larger circulation of hurricane-force winds, followed by a second suction vortex. A structure damaged by the first would likely be leveled by the second. I’m not sure how much that helps, but feel free to explain if I misinterpreted your question and I’ll try to give a better answer. I’d also like to read your thoughts on the volunteerism that happened here. I did 22 years in the USAF, combat zones, humanitarian efforts, etc. I’ve never witnessed such destruction, yet, I’ve never seen such humanitarianism. JSYK, myself, my parents, and my sister’s family are doing just fine in Joplin in our rebuilt homes on our original lots. Yeah, the response to the Joplin tornado was fantastic. There’s always an outpouring of support following a tornado, but I think the horrific death toll and the sheer scale of the damage really captured everyone’s attention. I’d say the same sort of thing happened with the April 27 outbreak, except that so many cities and towns were hit that the volunteers and resources were much more spread out. There was a big response to the Moore tornado last May, too. Would you say that most of your neighbors rebuilt, or did many of them move away? I can certainly understand why so many would want to leave, but I think it’s great that people are staying put and rebuilding. From talking with a few Joplin residents it sounds like the city is really recovering well. I found this article quite compelling. However, some of your facts are incorrect. Over 160 lives were lost due to the tornado. The Hospital helicopter was never blown from the roof. there was no helipad on the roof. It was parked on the ground level helipad on the parking lot north of the Emergency Room and tossed from that point to where it was found. Thanks Jane, you’re right about the helicopter. I’d made a note to change that a few months ago but it totally slipped my mind. Regarding the death toll, the city of Joplin lists the death toll as 161, while the NWS, NCDC and others count the toll as 158. This is because NWS and many other sources don’t count the three indirect deaths, such as Officer Jeff Taylor, who was struck by lightning and killed while conducting search and rescue the day after the tornado. The story was written very well. My family was in that monster. We lived at 2406 Empire (2 blocks due N of St. John’s). It seemed like it took 15 min just for the house to quit shaking. My mom called just as the house went silent, to tell me to take cover. I told her that her warning was a tad late and that the house just quit shaking. Originally, we planned to go to their house and stay, but my husband decided that we would go to his uncles house in Galena. Lucky for us we did! That dang tornado supposedly stopped once it got to Diamond and my mom lives 10 or so miles from there and it hit her house too. I am very lucky to report that none of my family involved with this beast were injured, not even a scratch. Thanks Ashley, glad you and your family were unharmed. The Joplin supercell went on to produce two more tornadoes (both EF2), one just north of Pierce City and one just north of Galena. It sounds like your mom’s house was probably hit by one of those. Great article, I’ve been doing research on the events prior and during the 2011 tornado for a paper in college and found this site. i actually lived outside of Anderson MO at the time and worked in Joplin over on E.15th street. I was in town that night searching for co-workers and friends, Luckily, everyone was alive albeit beat up and scared shitless (excuse my language please). i had never seen anything so bad in all my life and hope to never see it again. This is easily one of the worst and most frightening things I have ever had the displeasure of reading. Despite that, from a meteorological standpoint, it is quite fascinating. 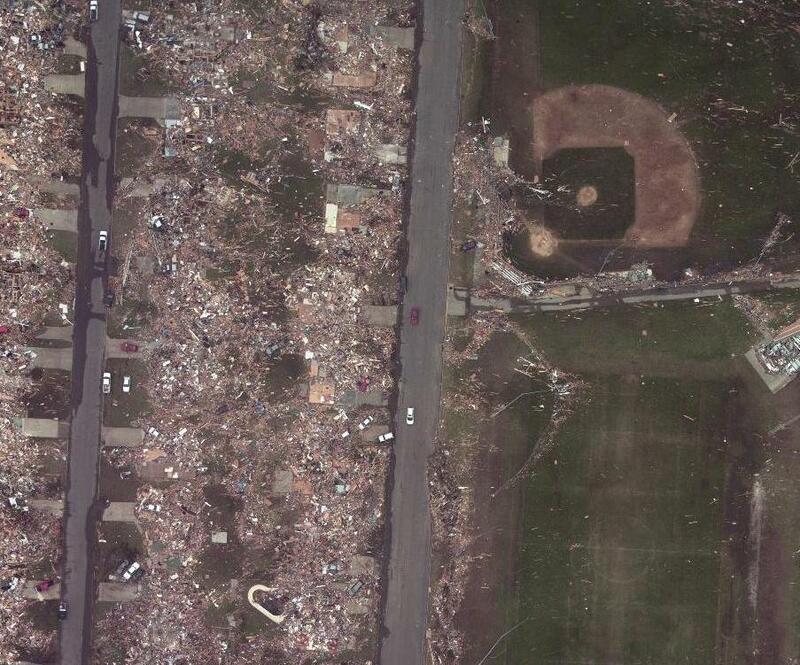 I still have so much sympathy for the people of Joplin who went through the tornado. I just happened across this site…and with each “case study”, all I can say is “Wow!”. I also write about tornadoes, but go in a bit of a different direction — poetry. I think I’ve poured over many of the same maps, skew-t’s, accounts, and pictures of the events to create something different. Here’s my take on your background picture, which I only learned in the last few years was one of six pictures! Having said all that, this site is absolutely incredible. I’ve spent the past hour reading the Palm Sunday 1965 entry and its riveting, fascinating work. Thanks for the kind words, Chris! I’m browsing your site now, really good stuff! I’ve always thought tornadoes/severe weather make an interesting subject for poetry, but I haven’t seen it done well very often. I really enjoy your take on these events.